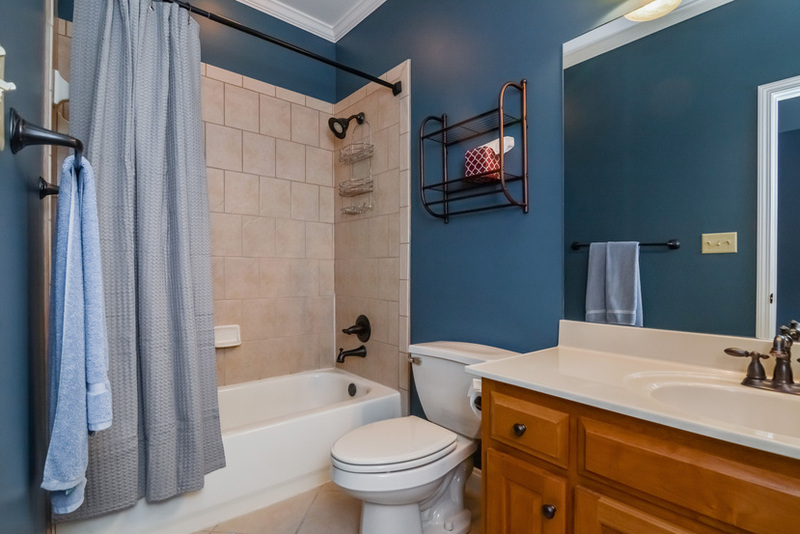 Adorable 4 bedroom, 2.5 bath home is ready for YOU! 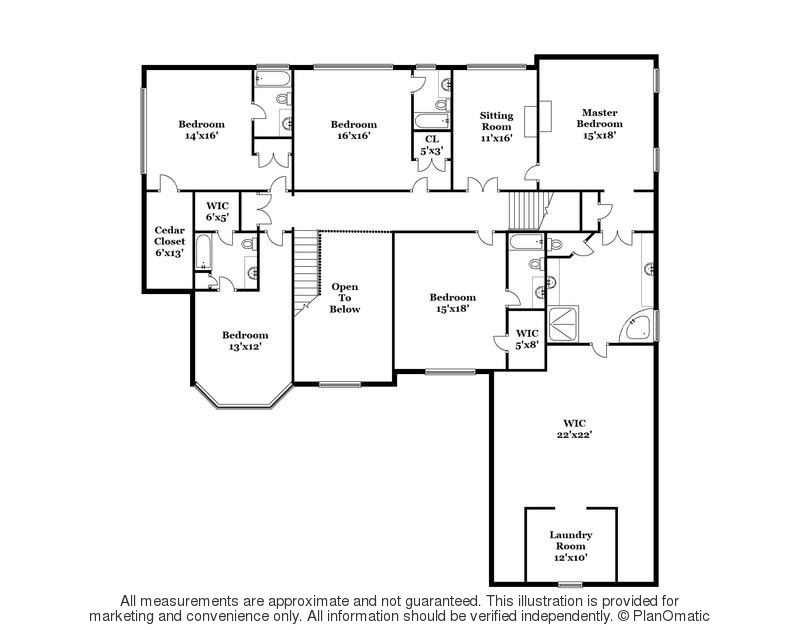 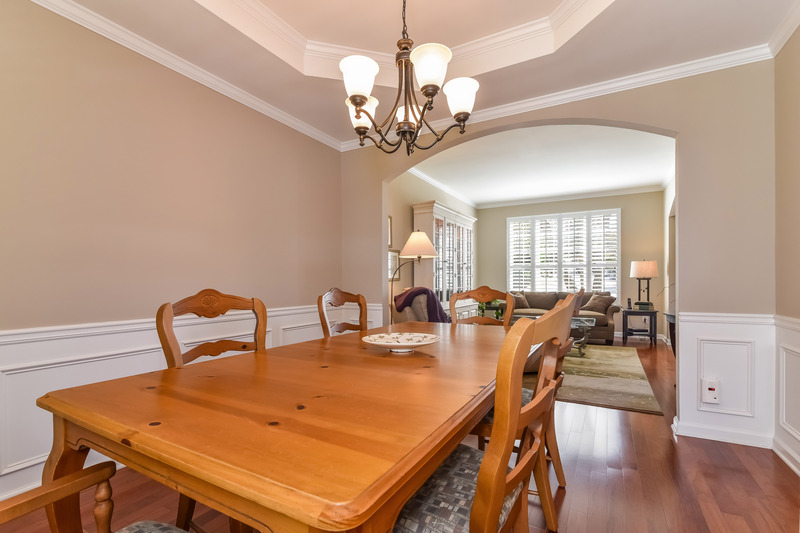 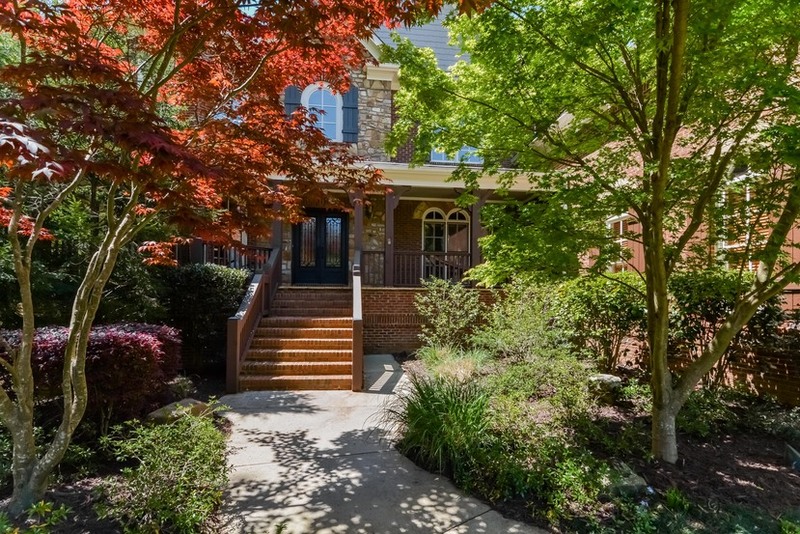 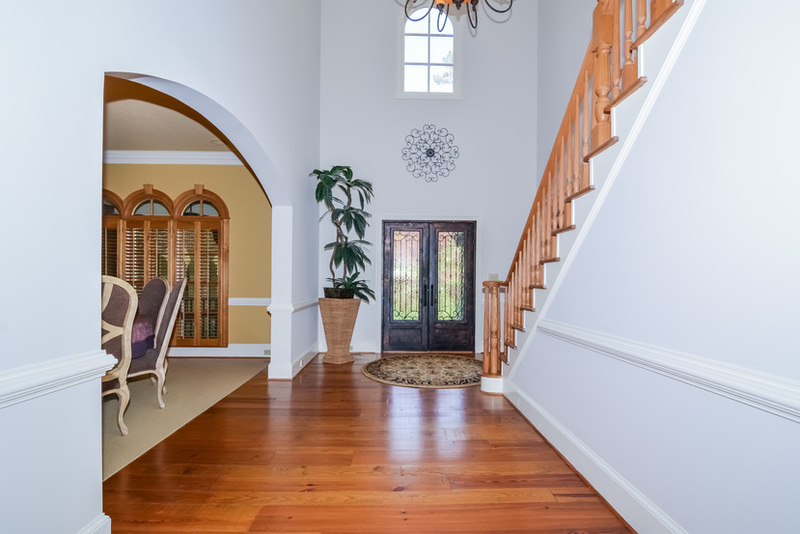 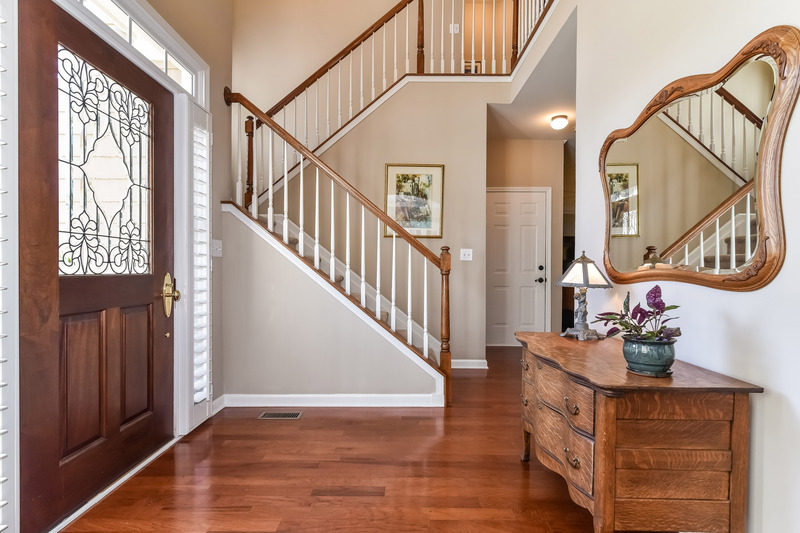 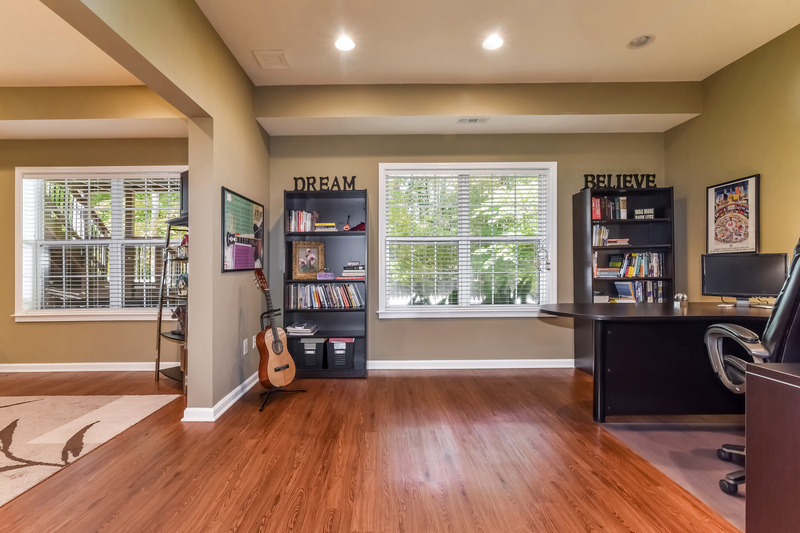 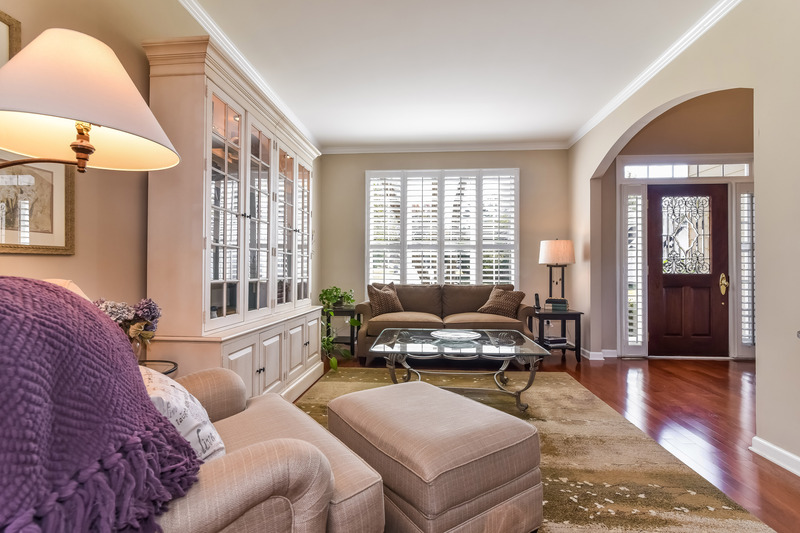 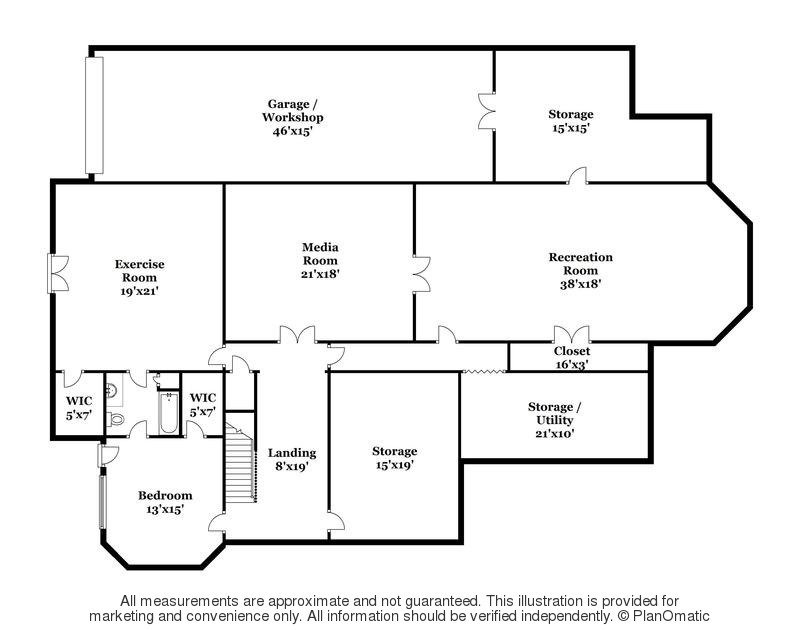 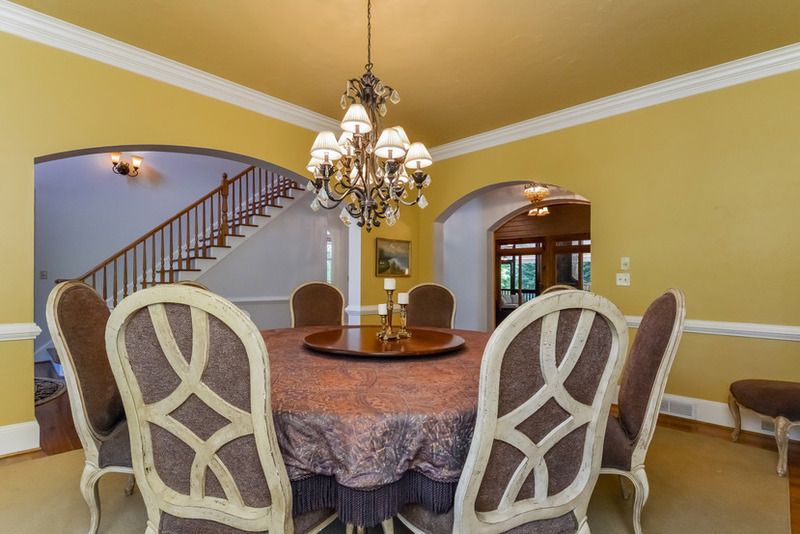 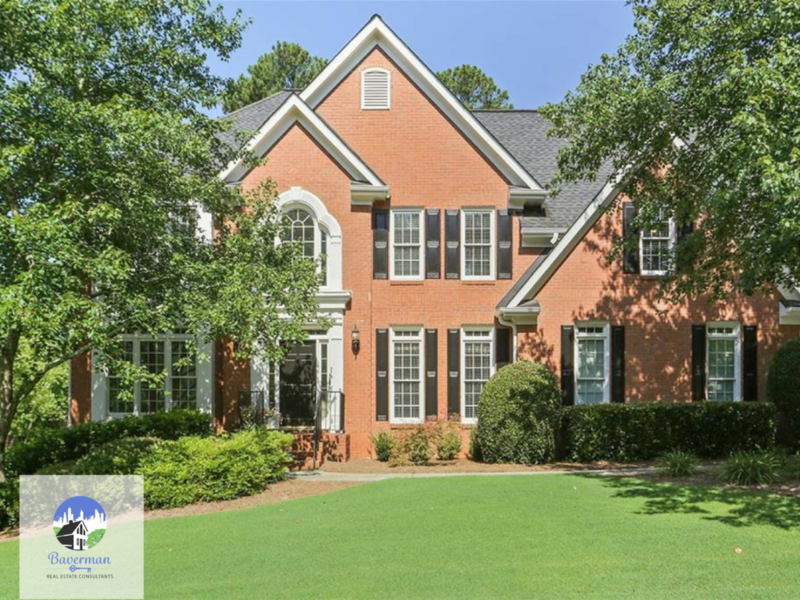 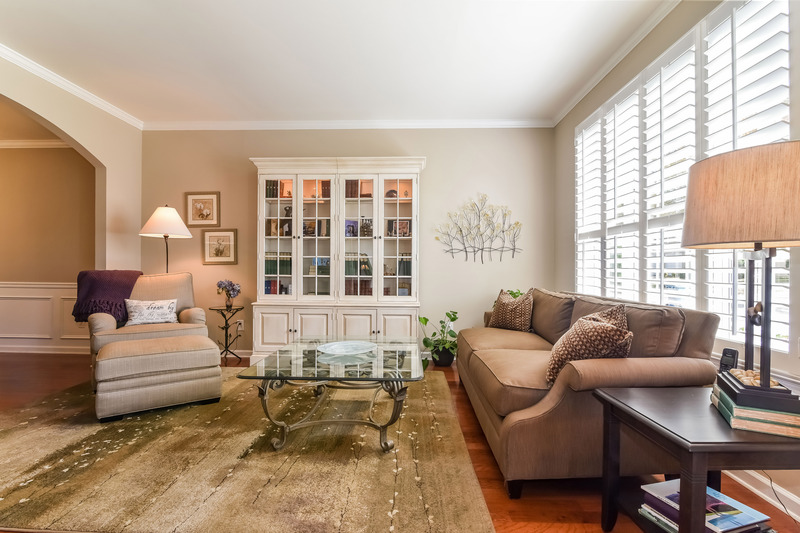 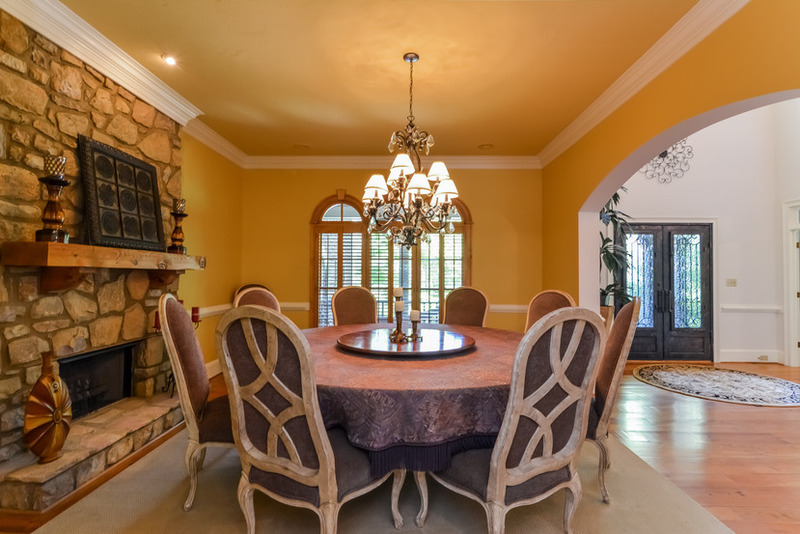 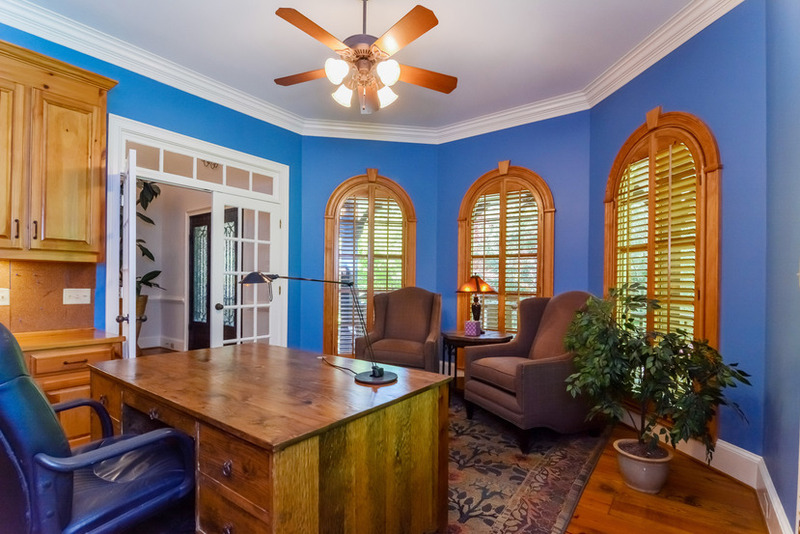 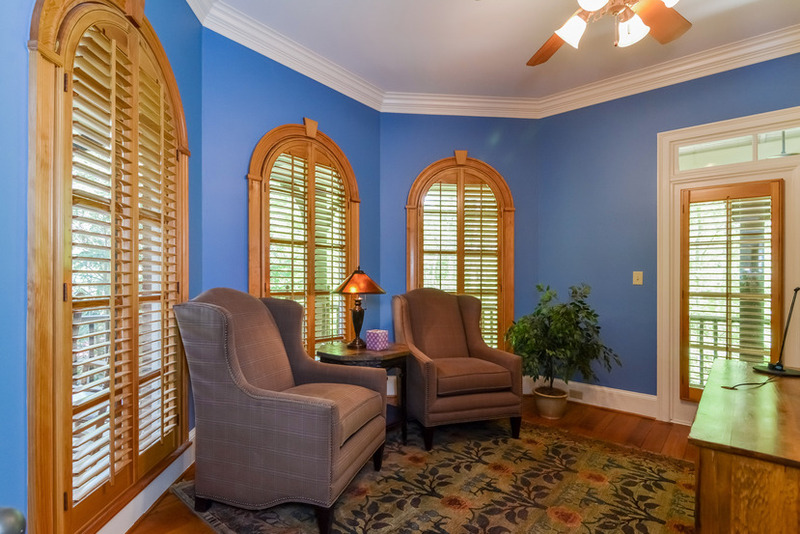 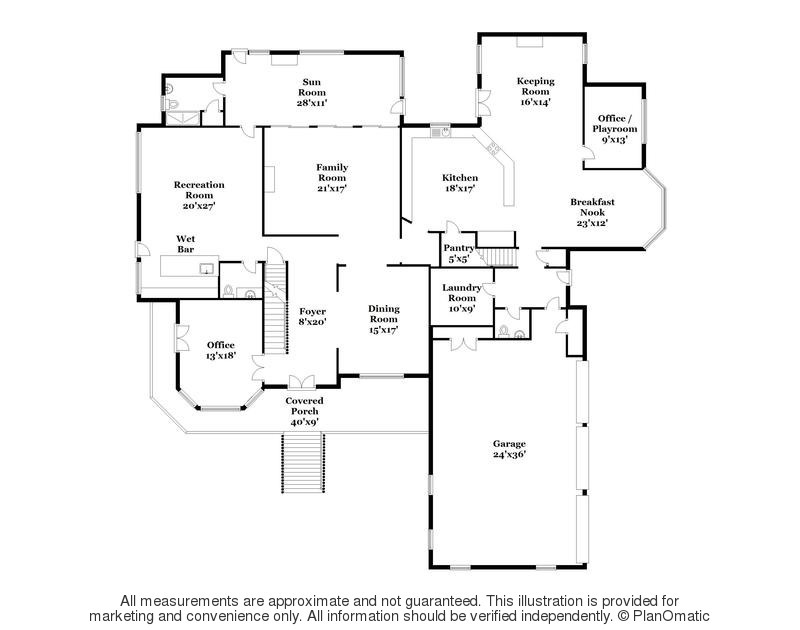 2-story entry foyer, living room & dining rooms, well-lit w big windows, Plantation Shutters. 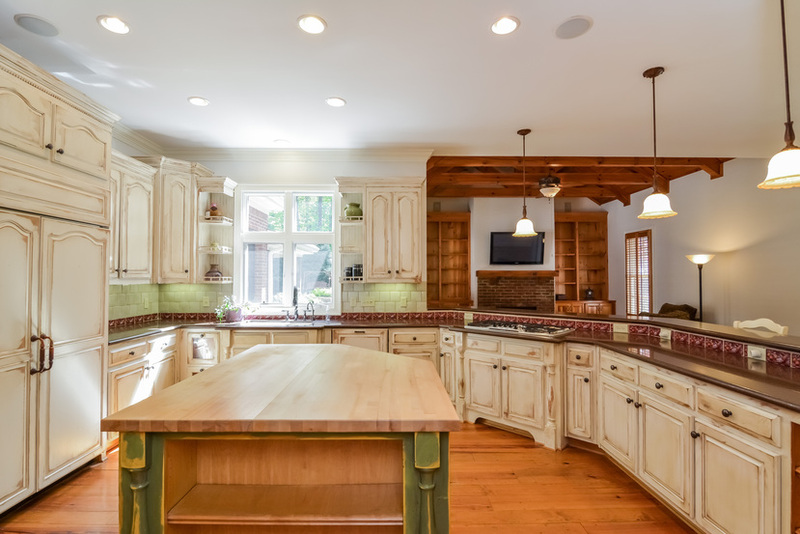 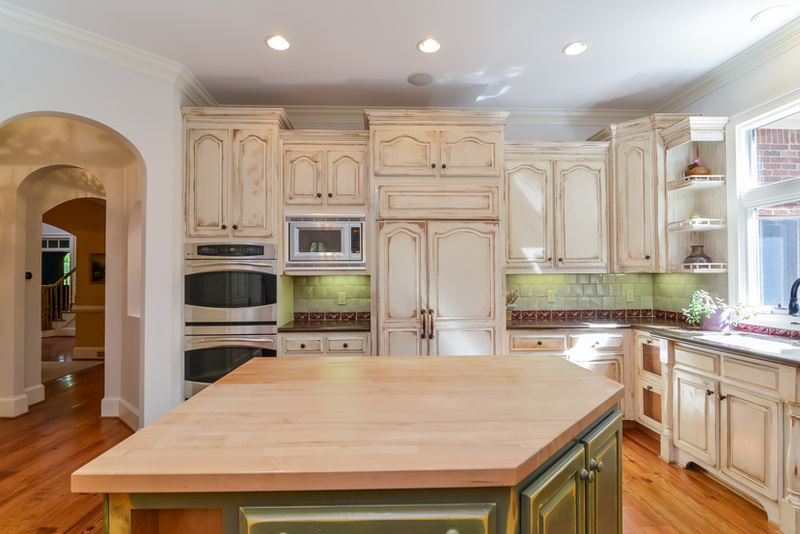 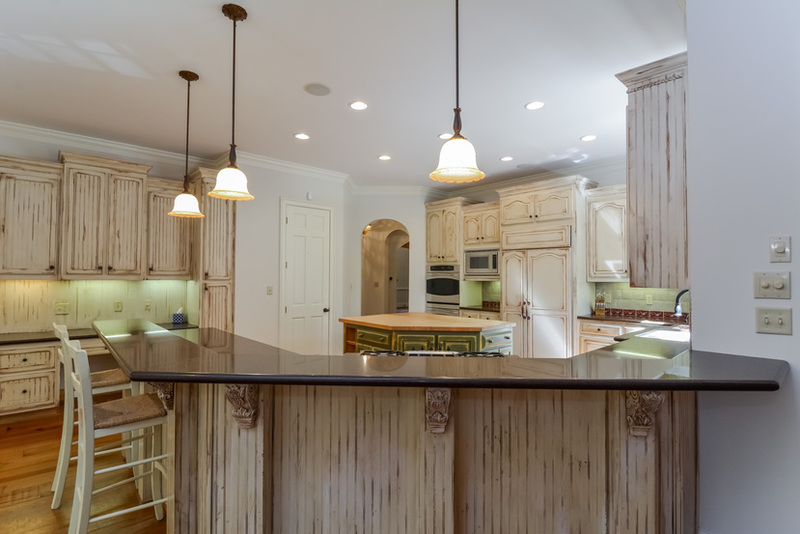 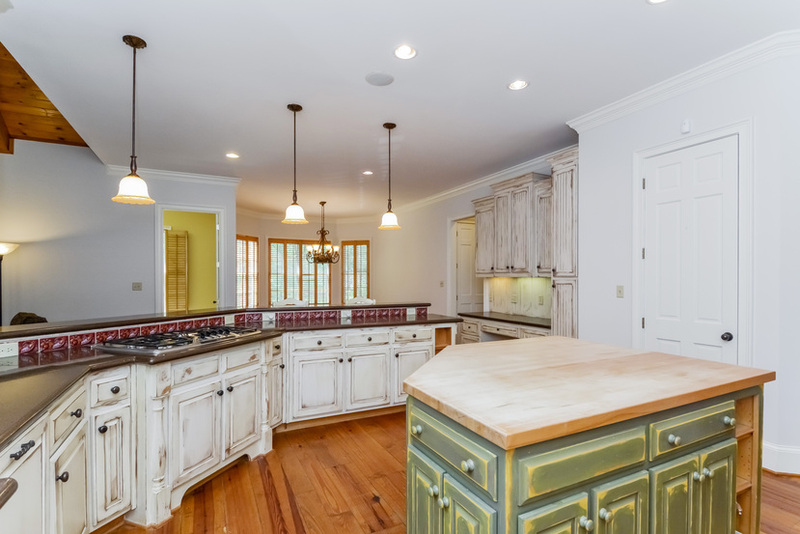 Kitchen feat view to family rm, granite, pantry + access to deck. 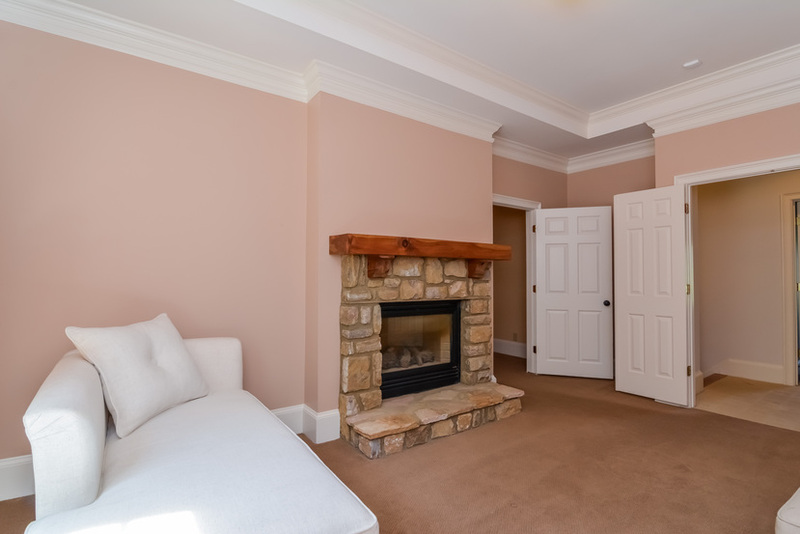 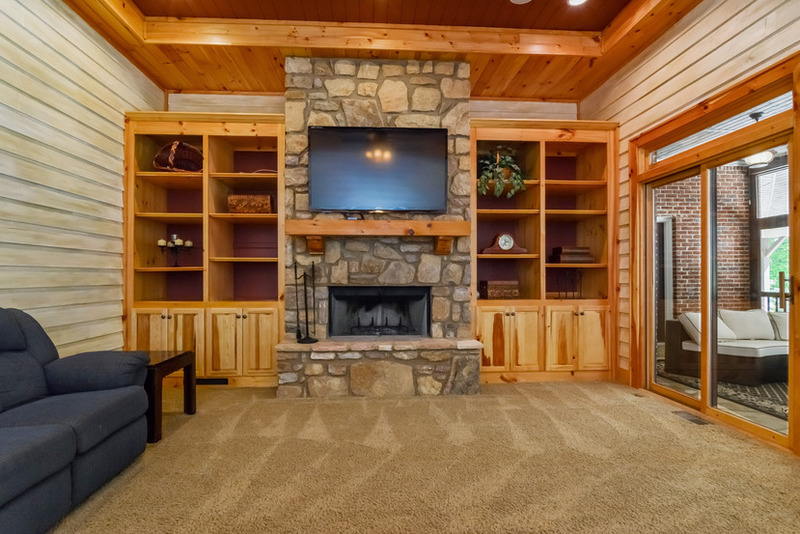 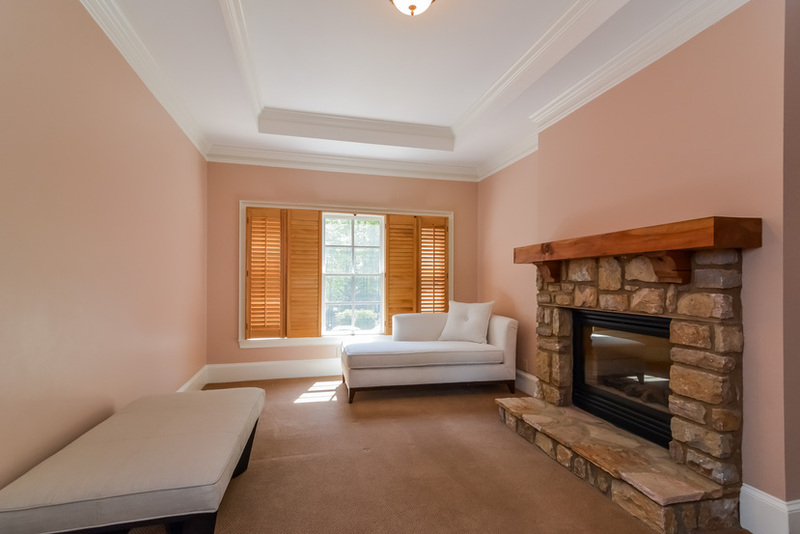 Fireside family room. 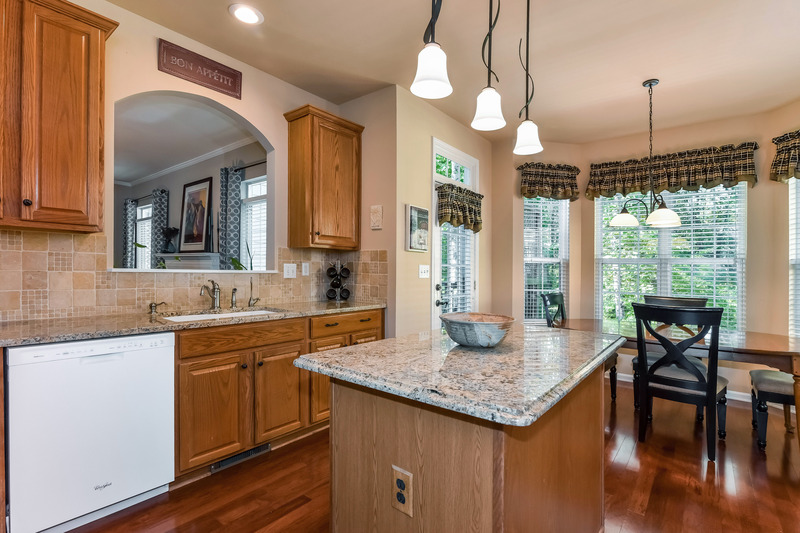 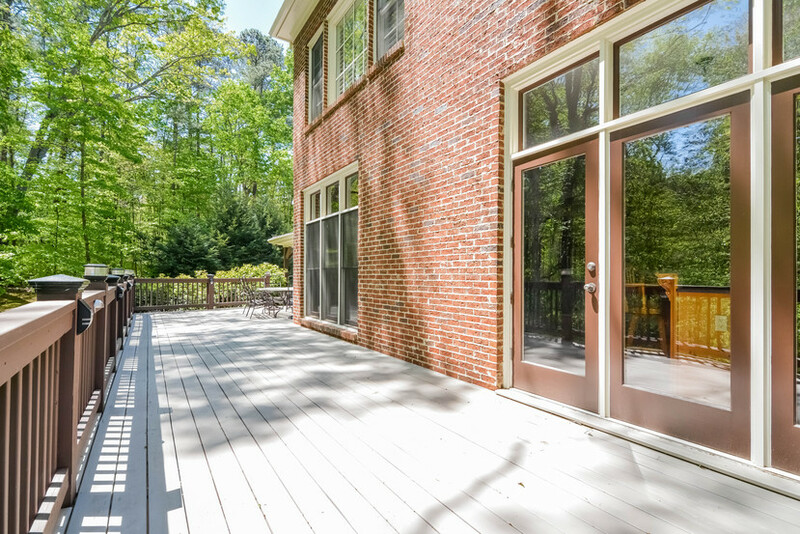 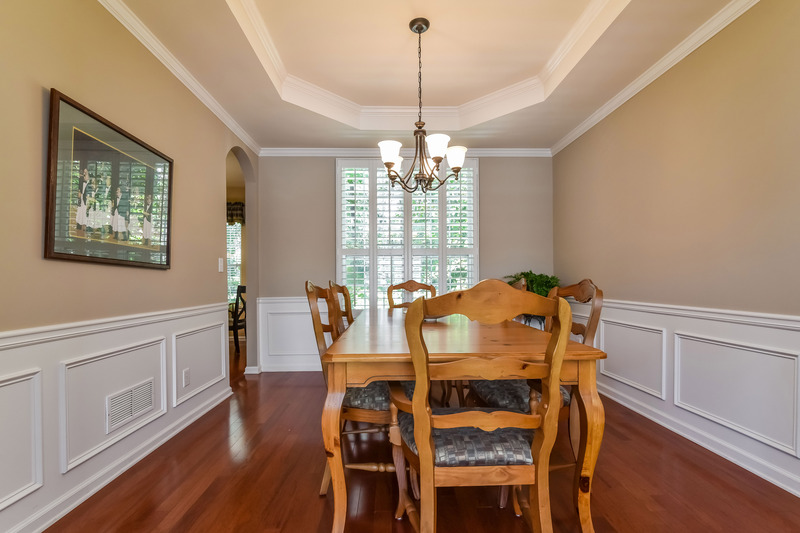 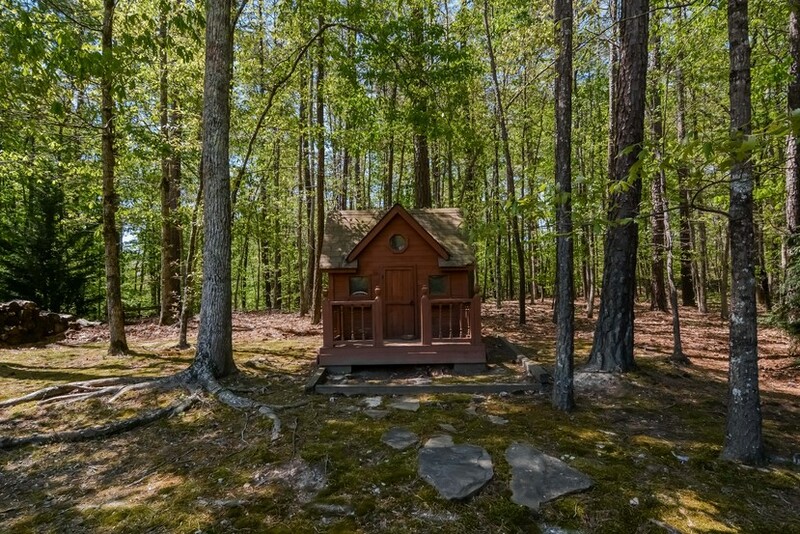 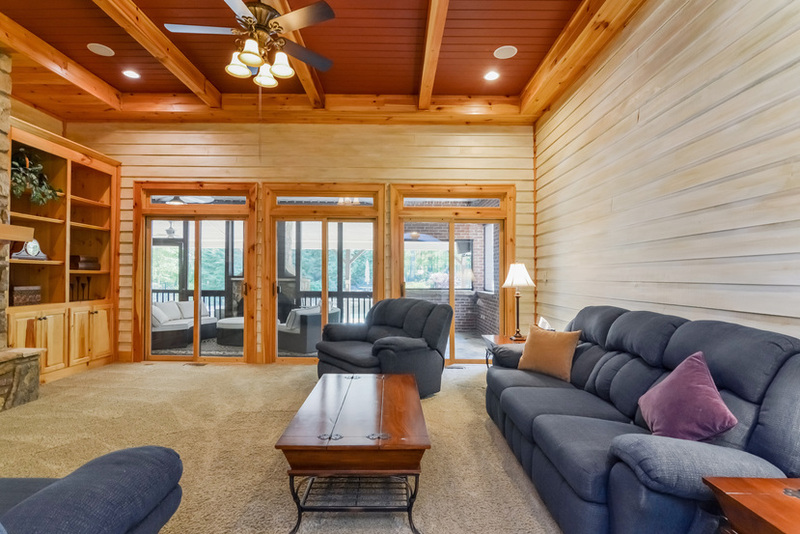 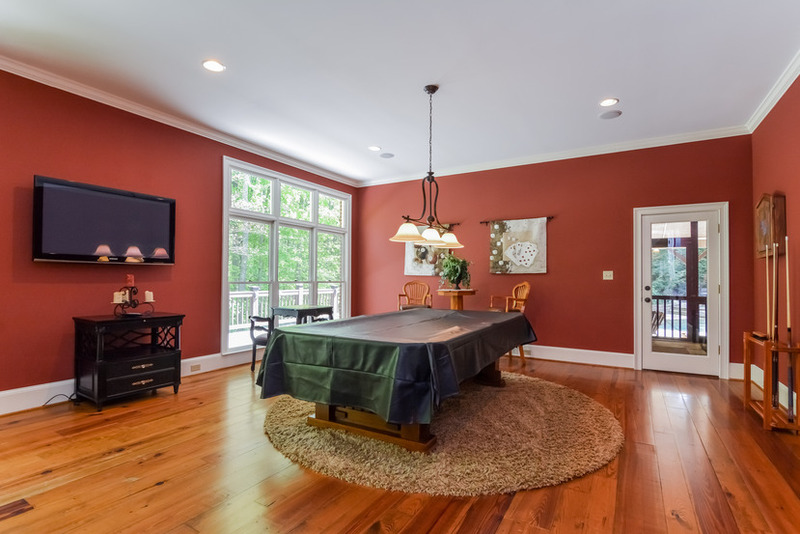 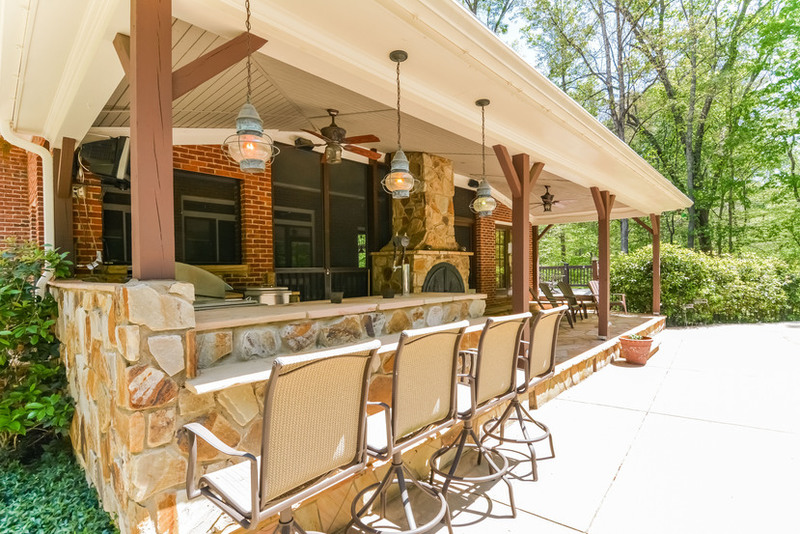 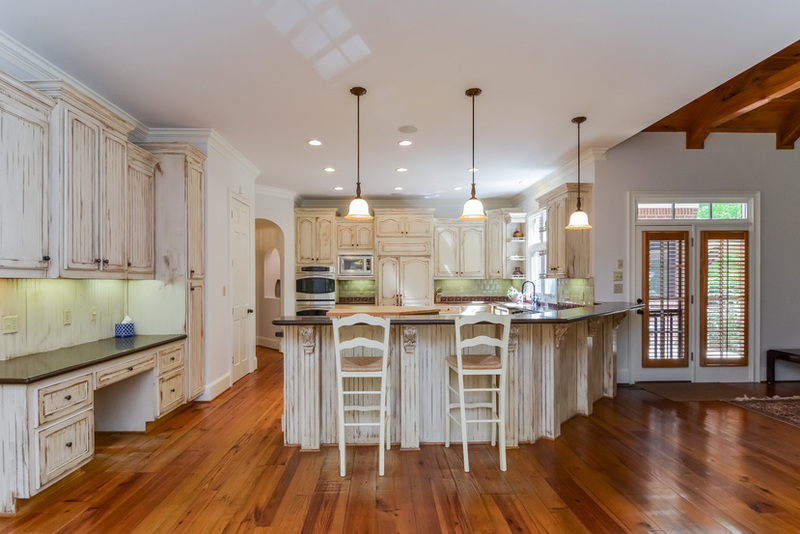 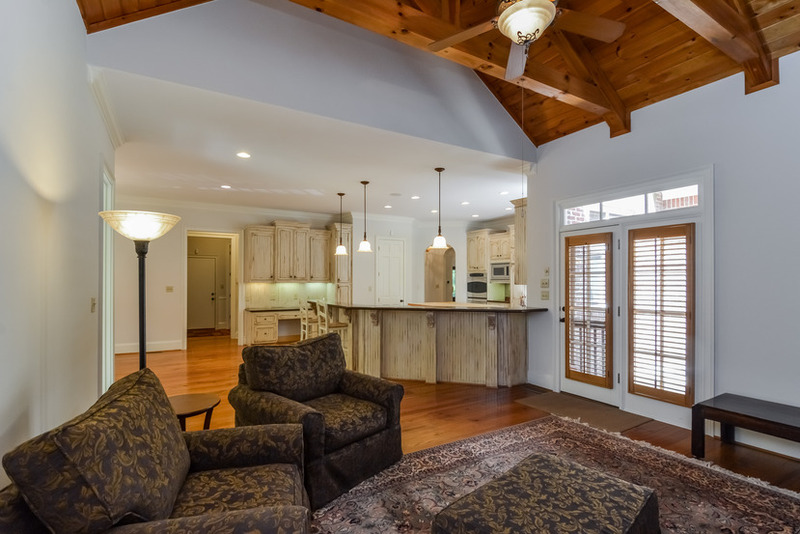 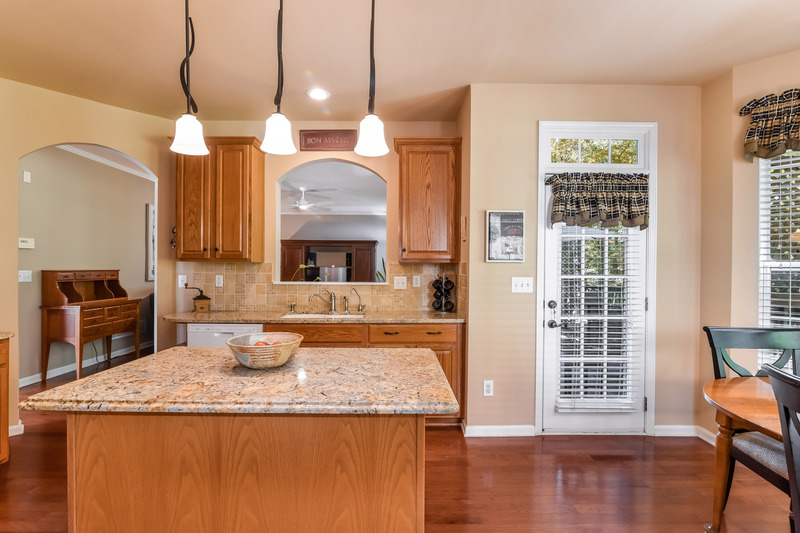 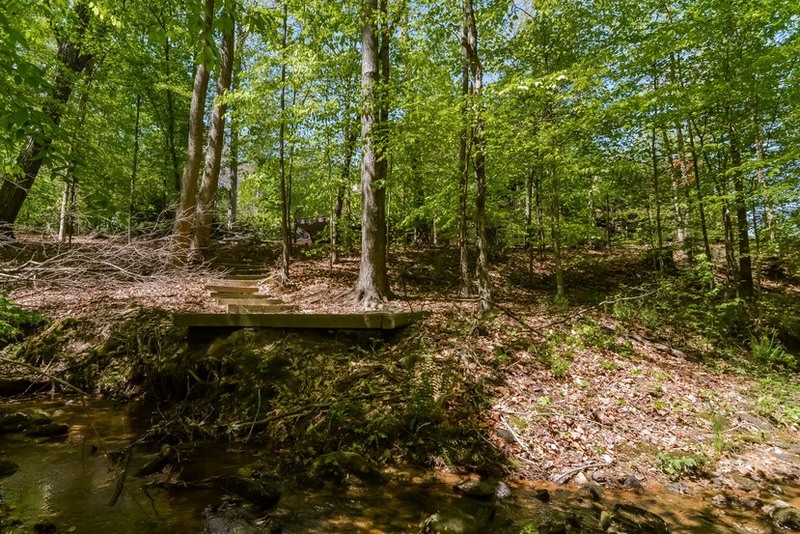 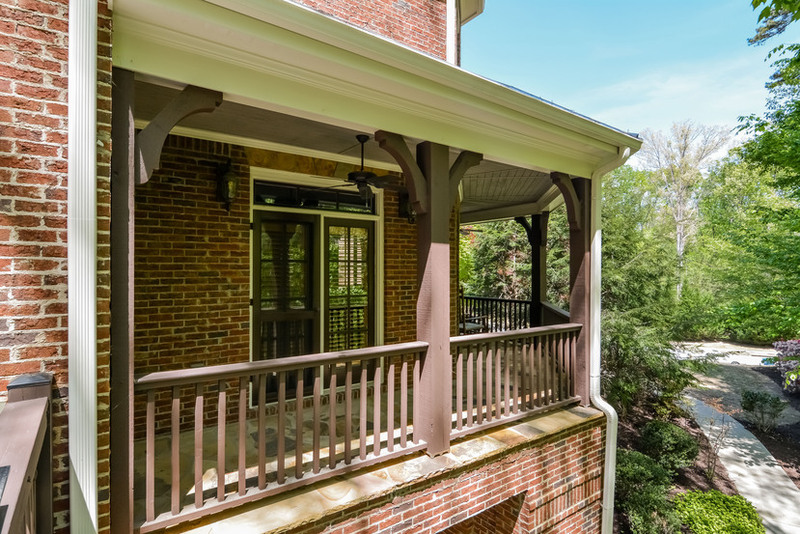 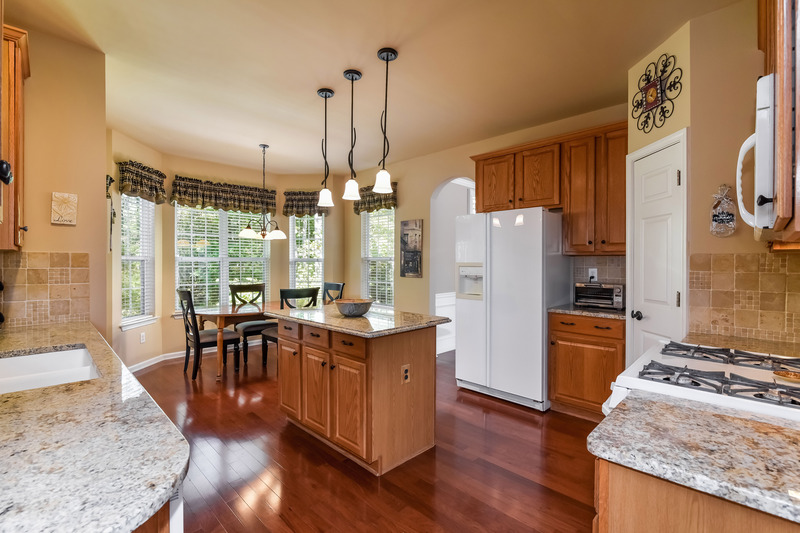 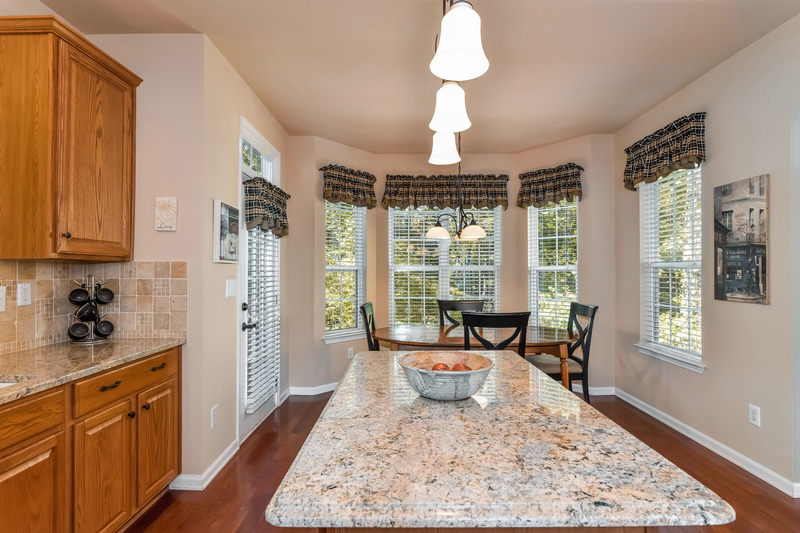 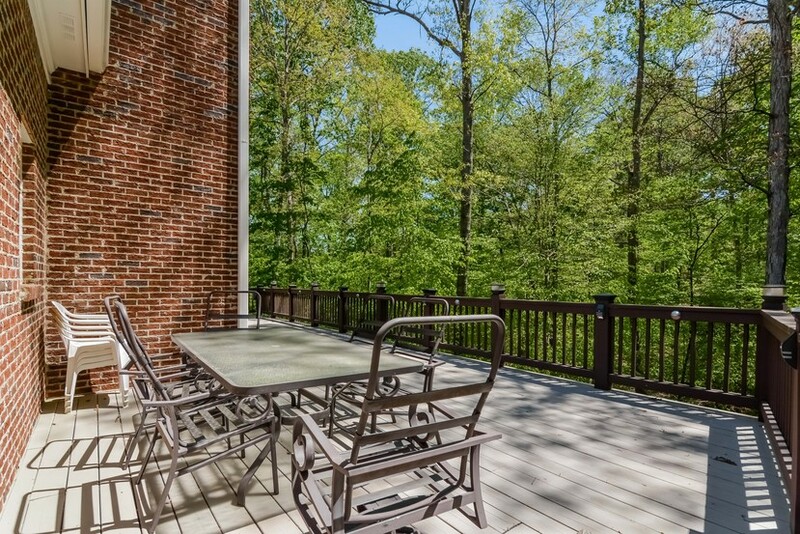 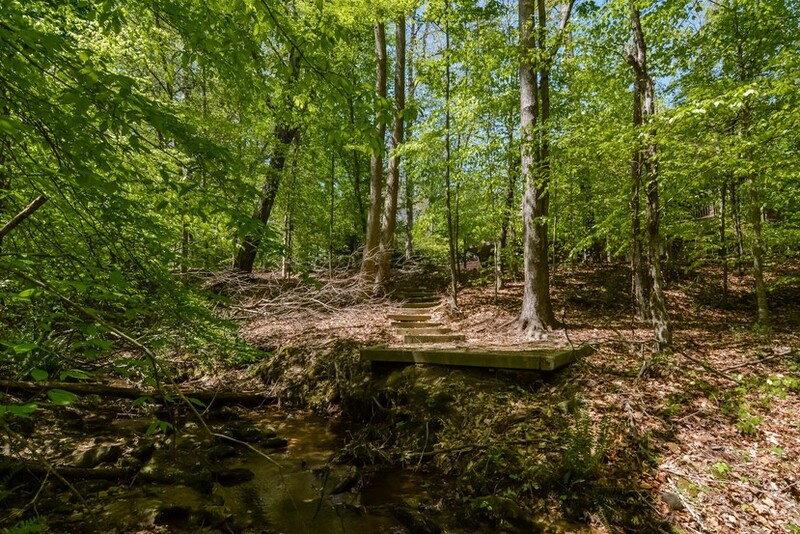 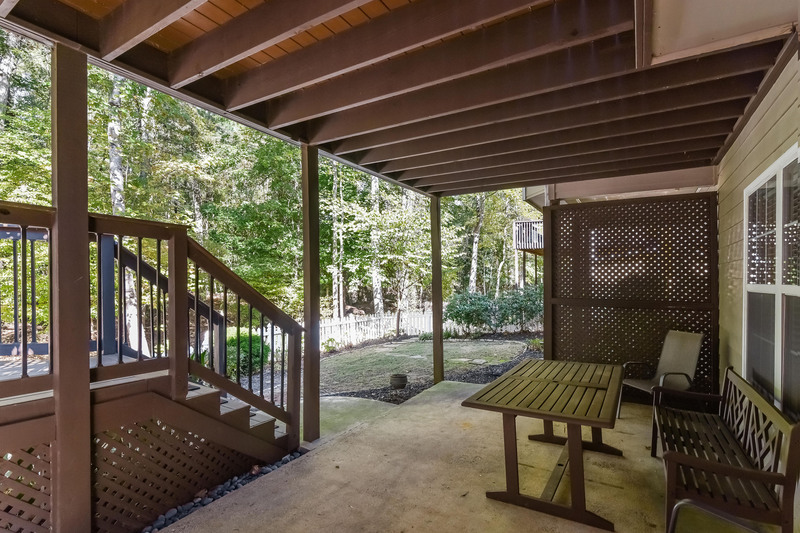 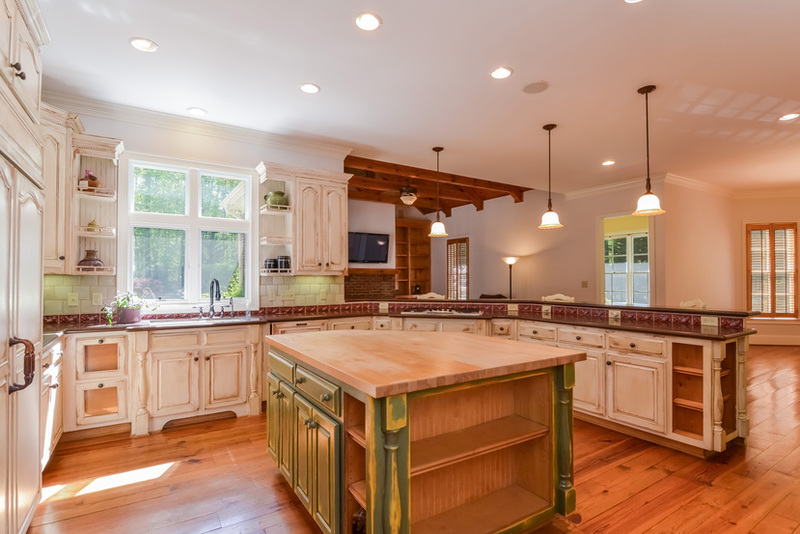 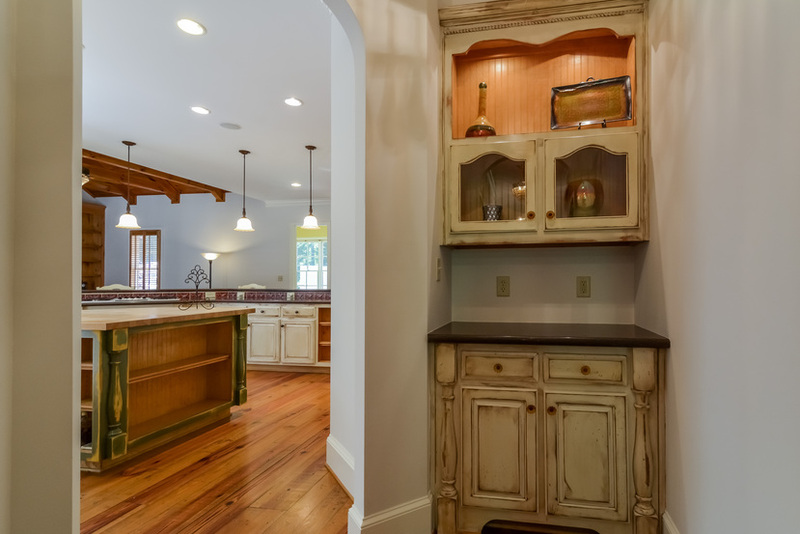 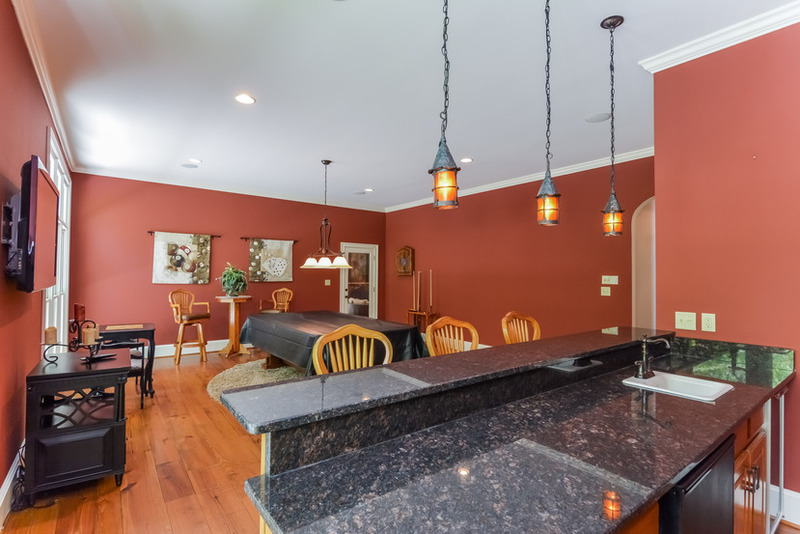 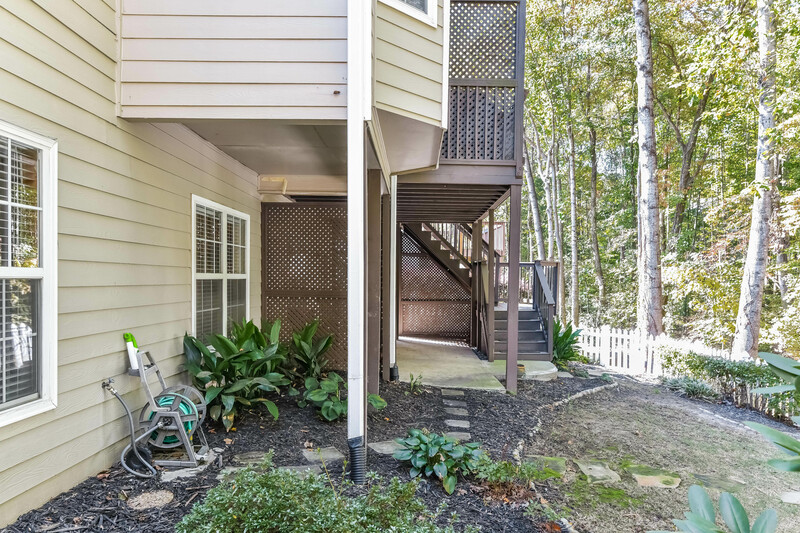 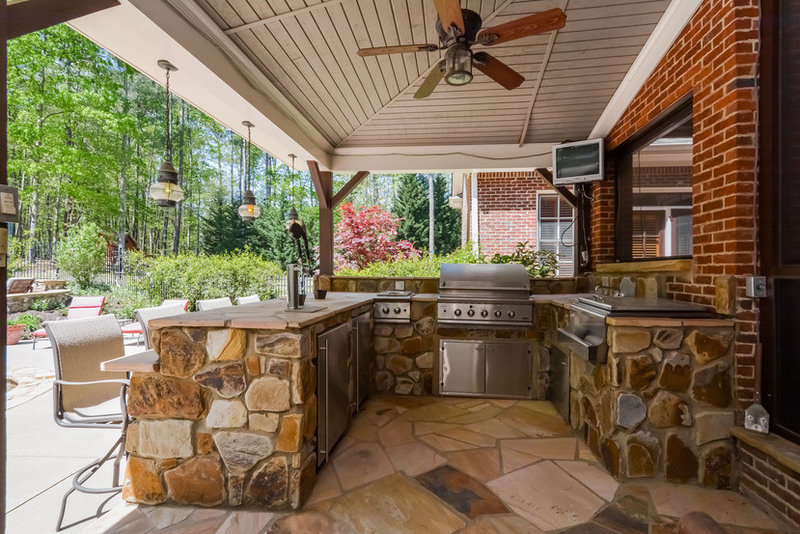 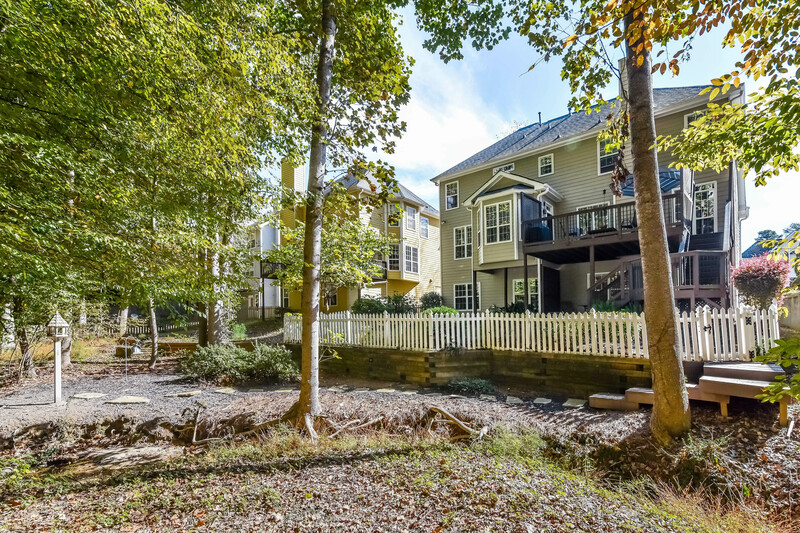 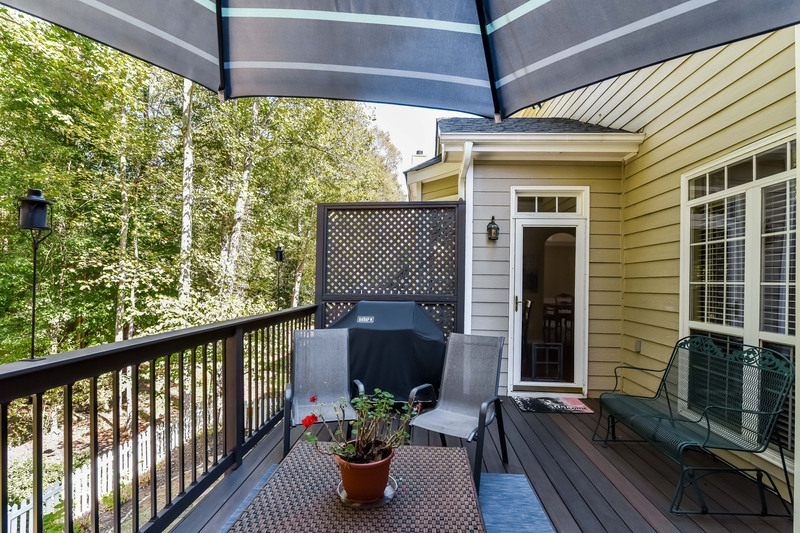 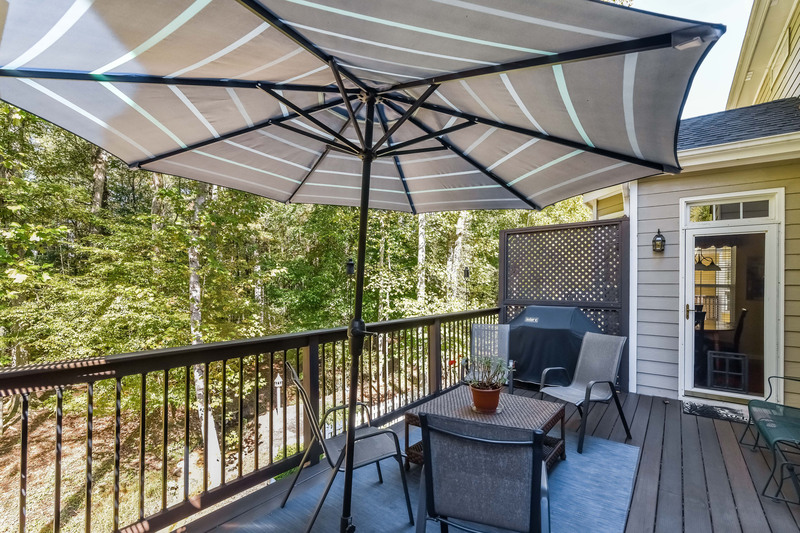 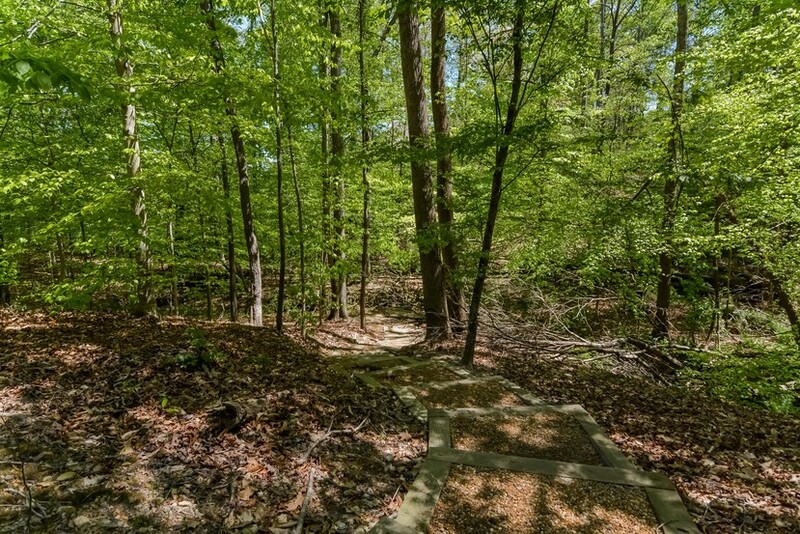 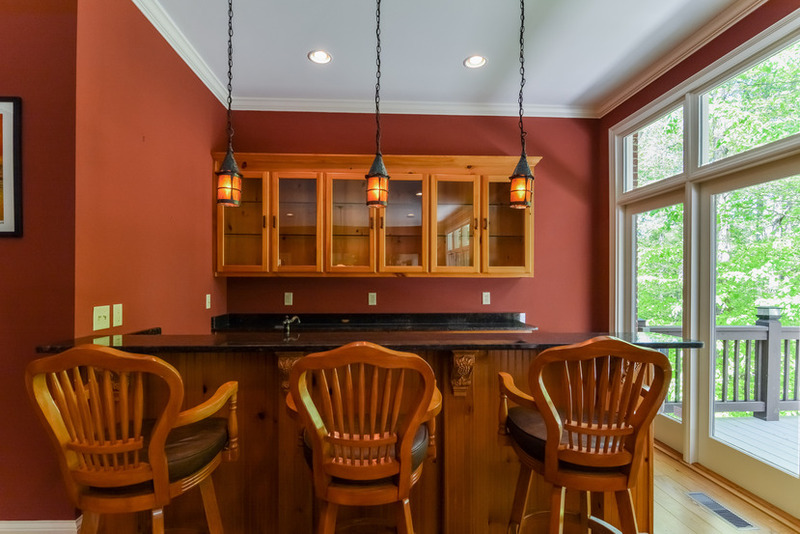 Enjoy breakfast in kitchen or on deck, view of woods + creek. 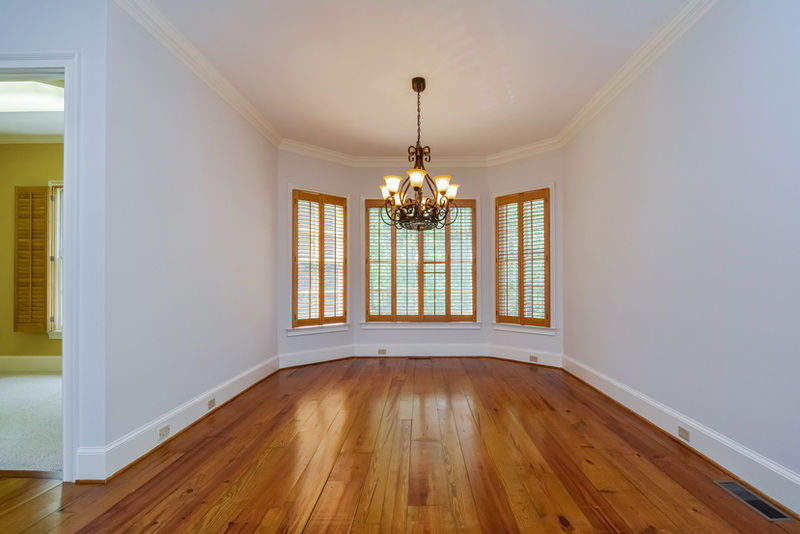 Hardwoods thr-out main. 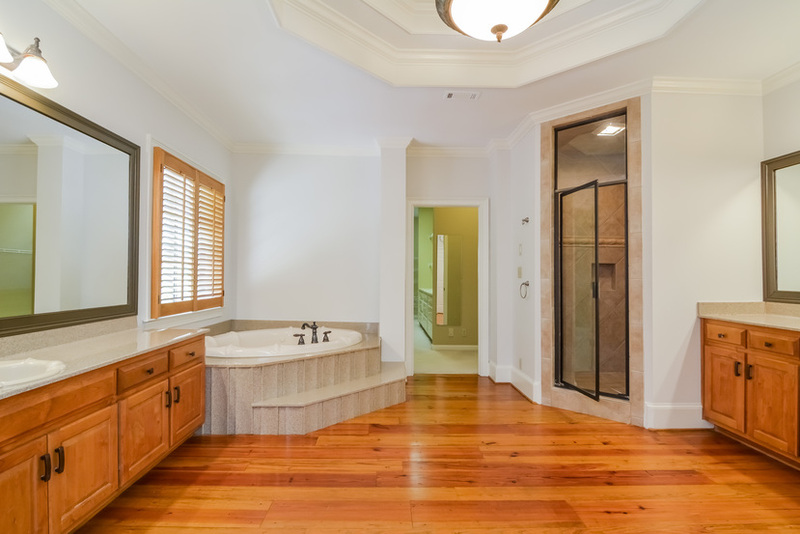 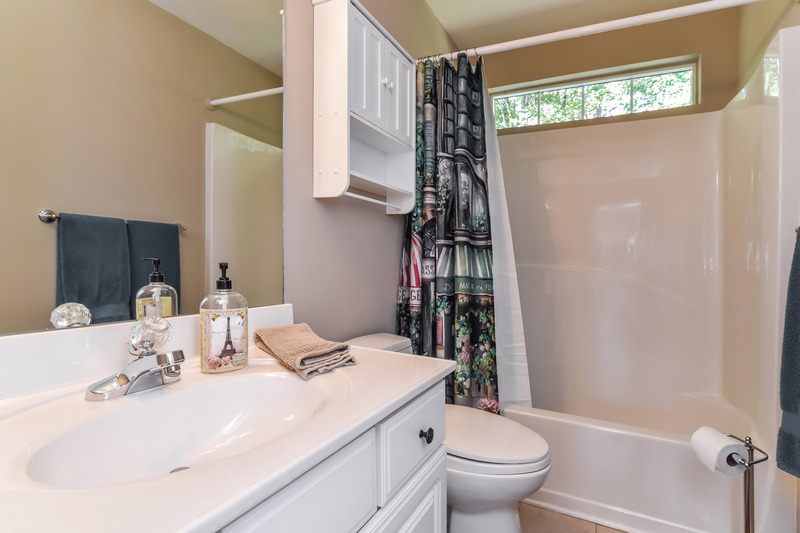 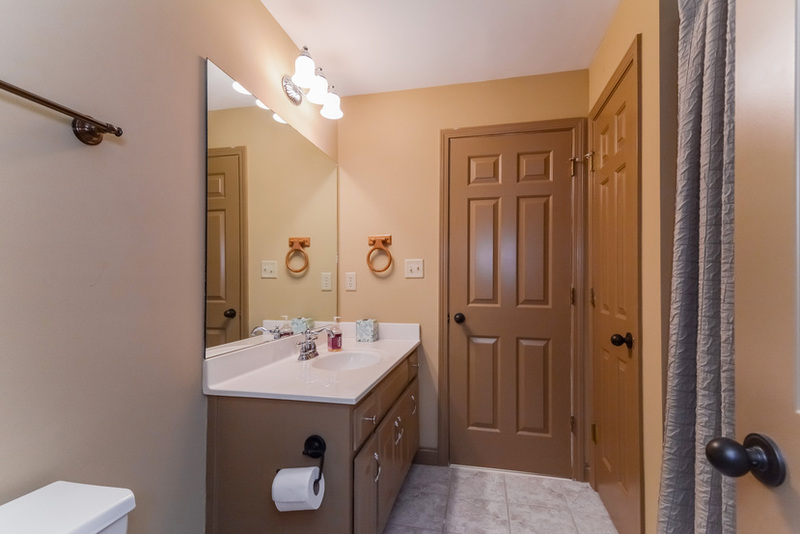 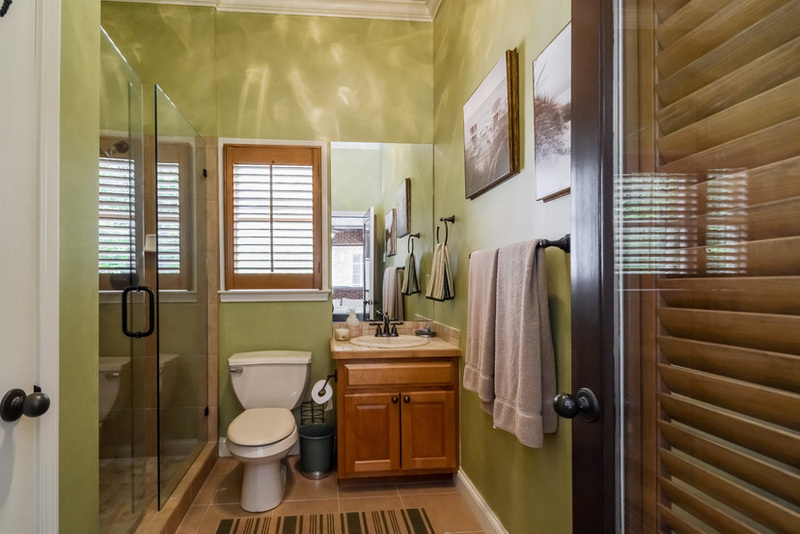 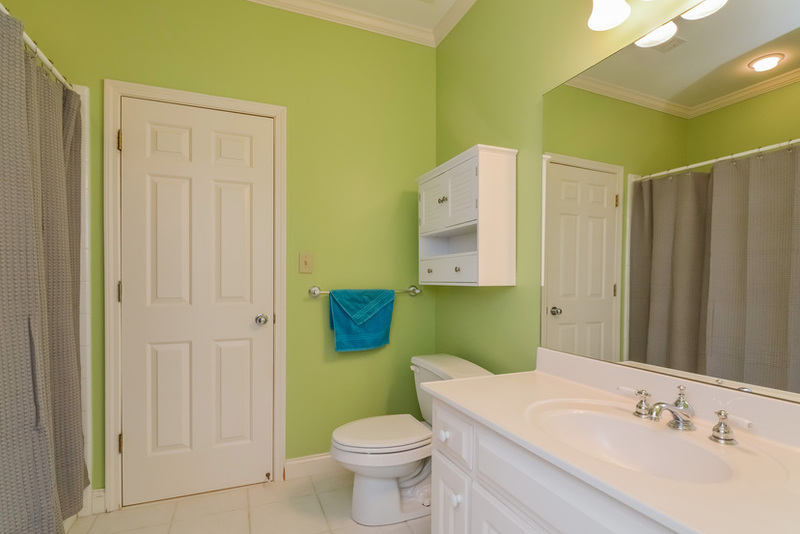 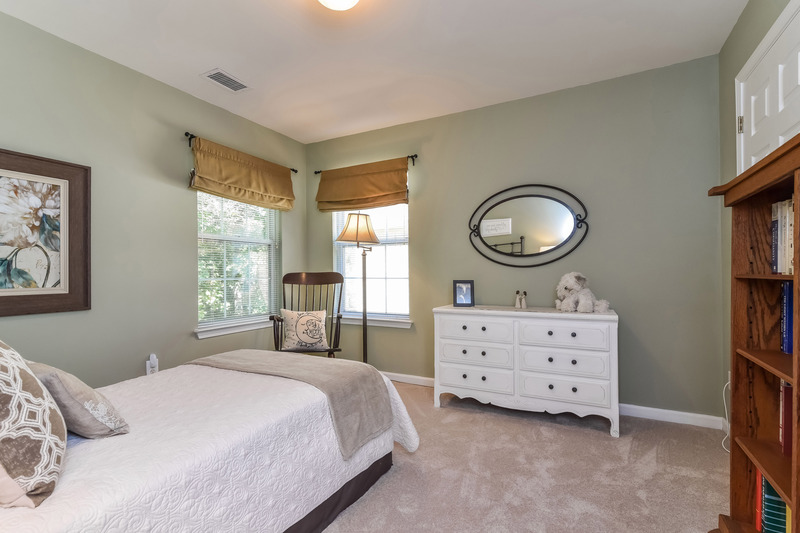 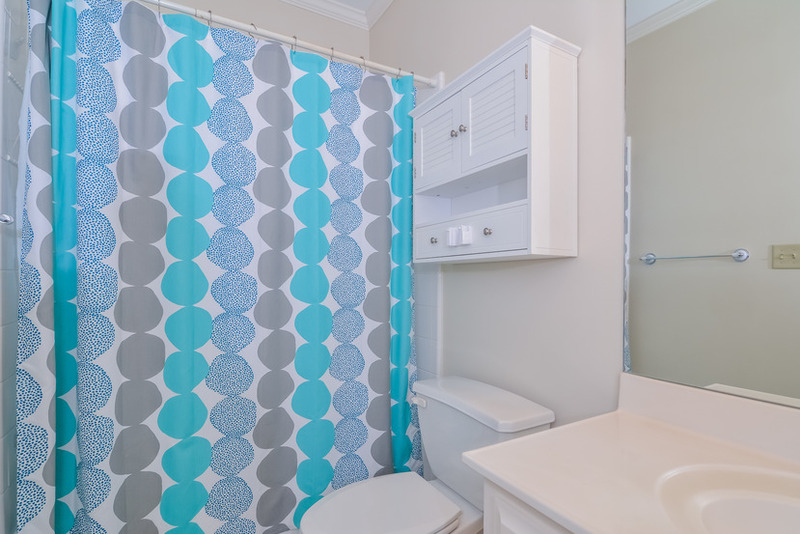 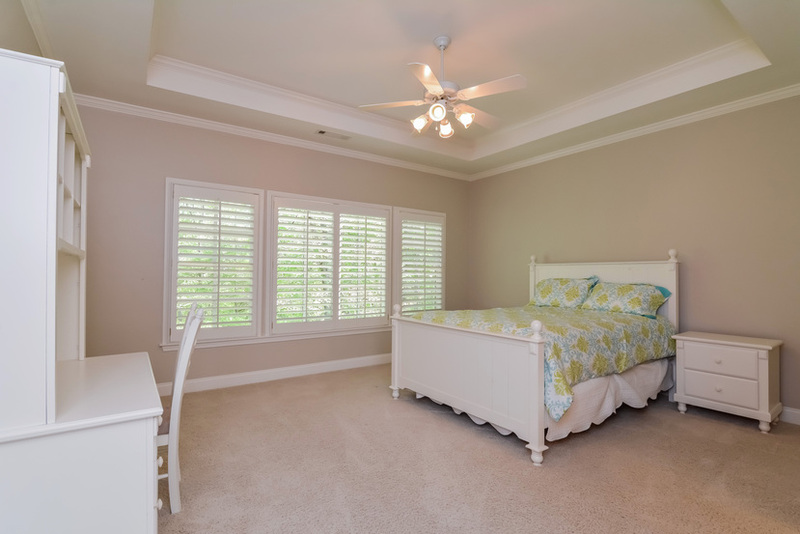 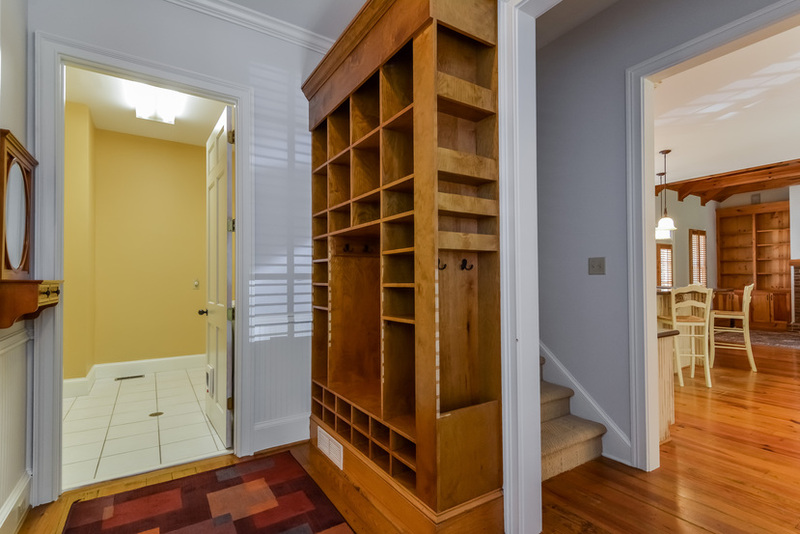 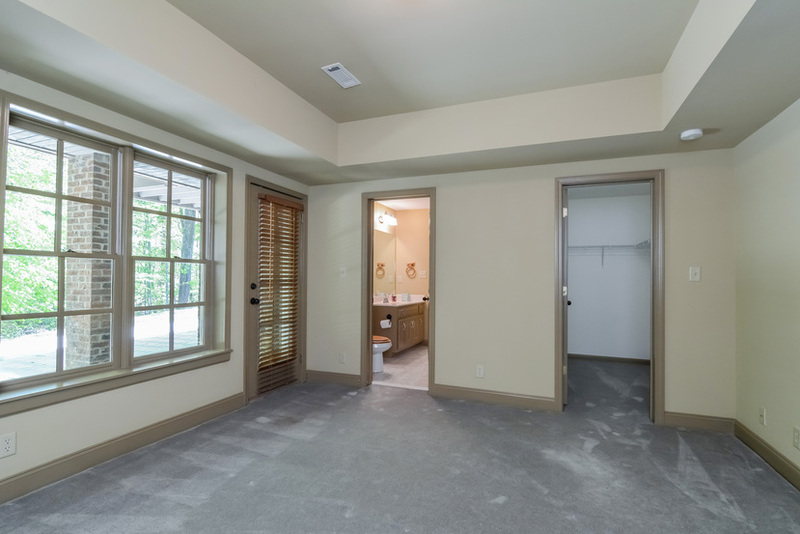 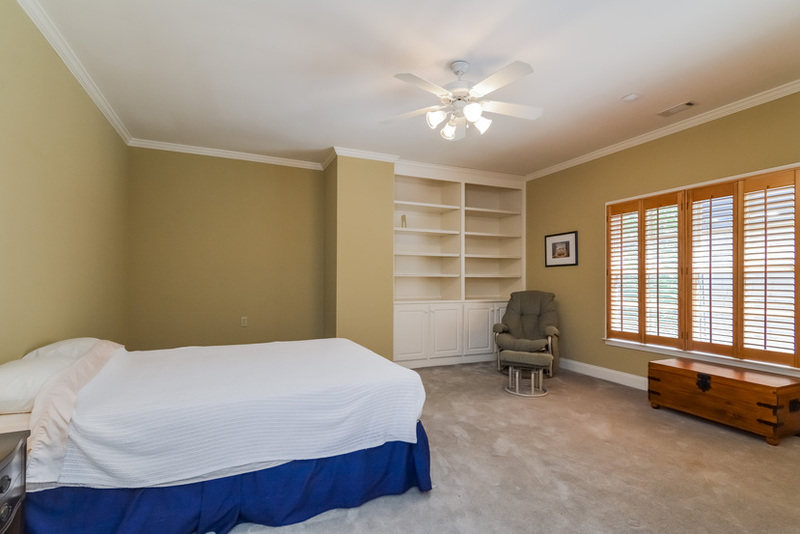 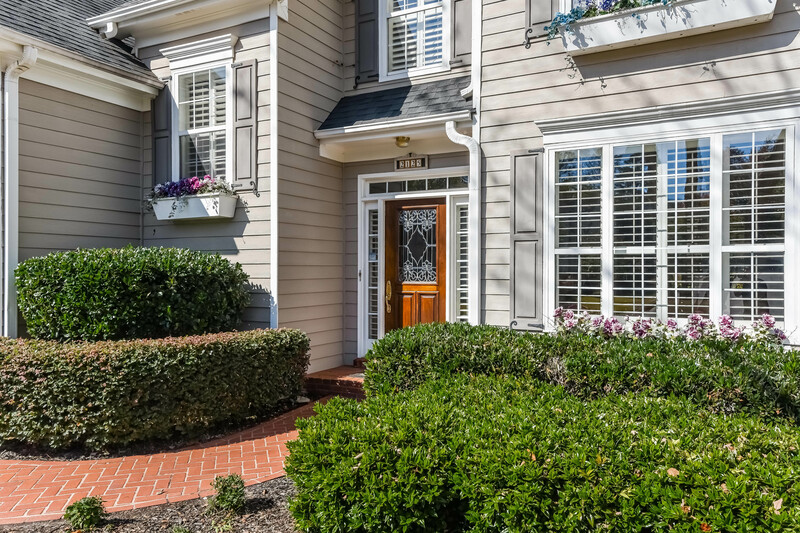 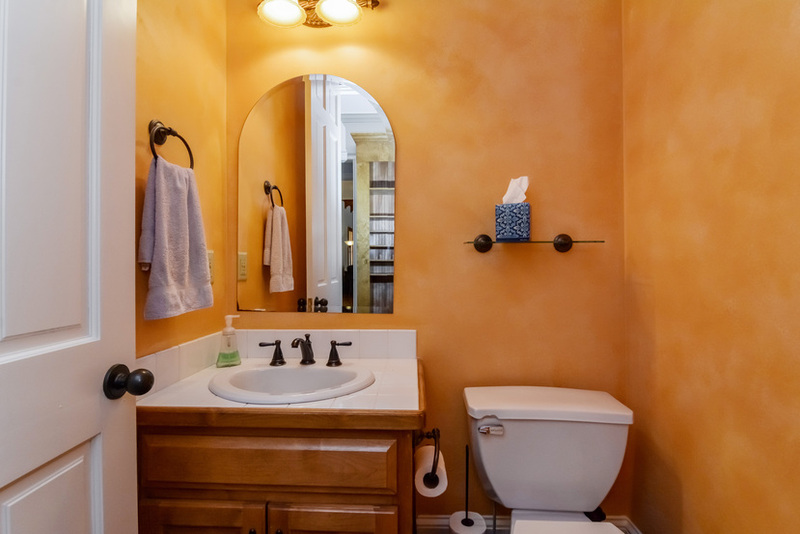 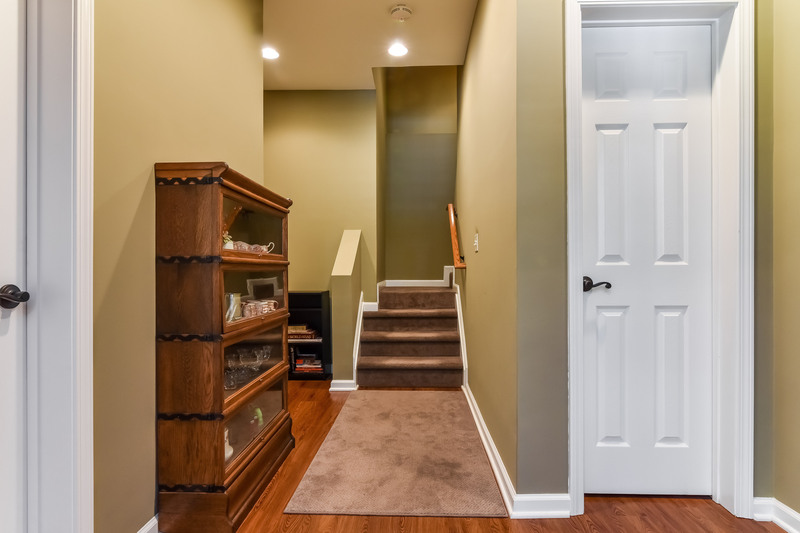 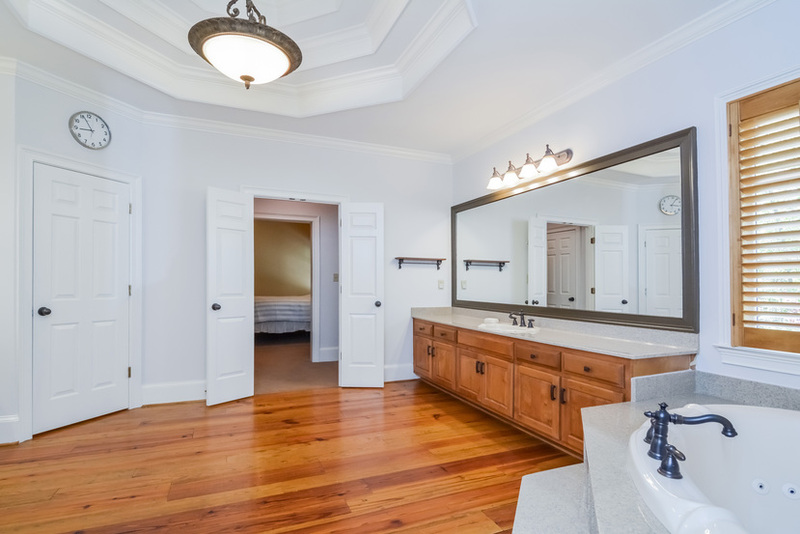 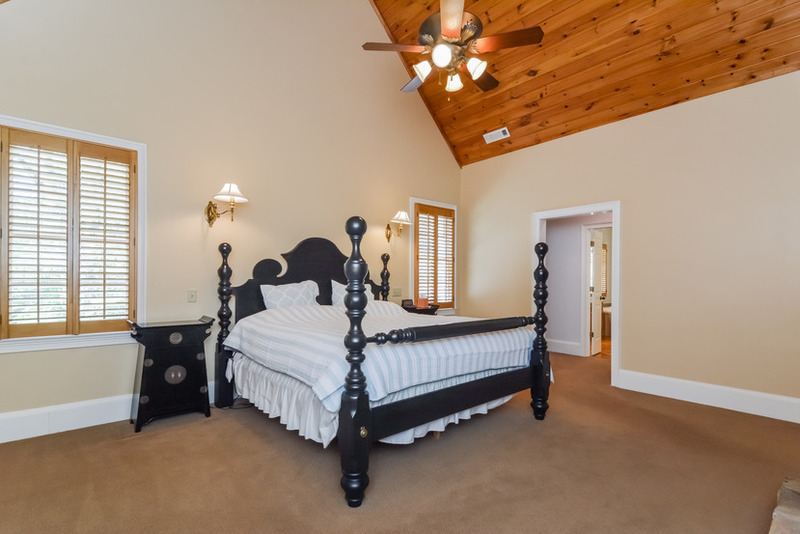 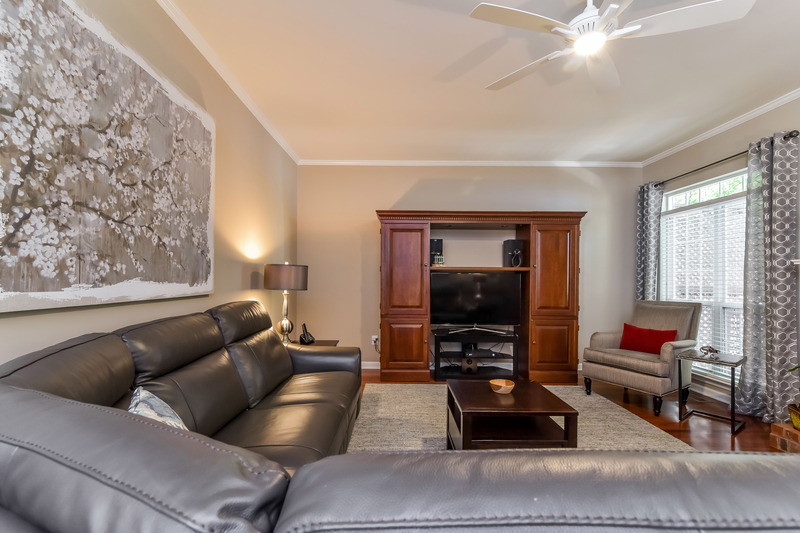 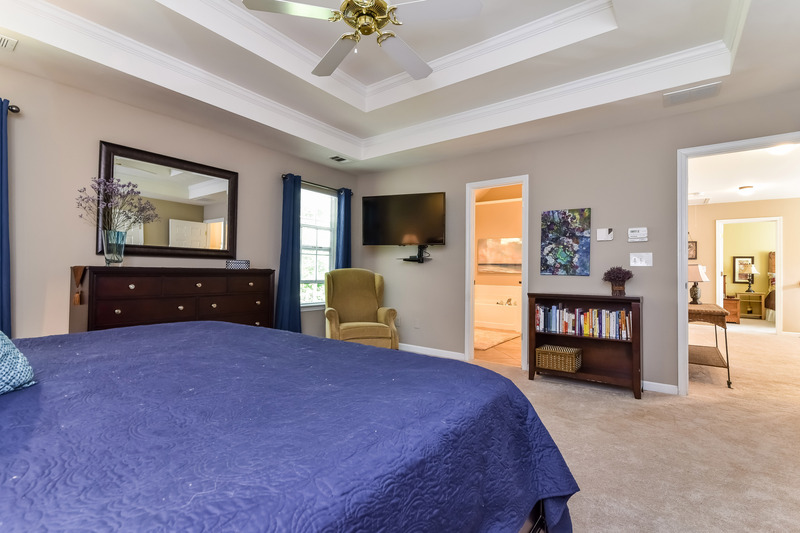 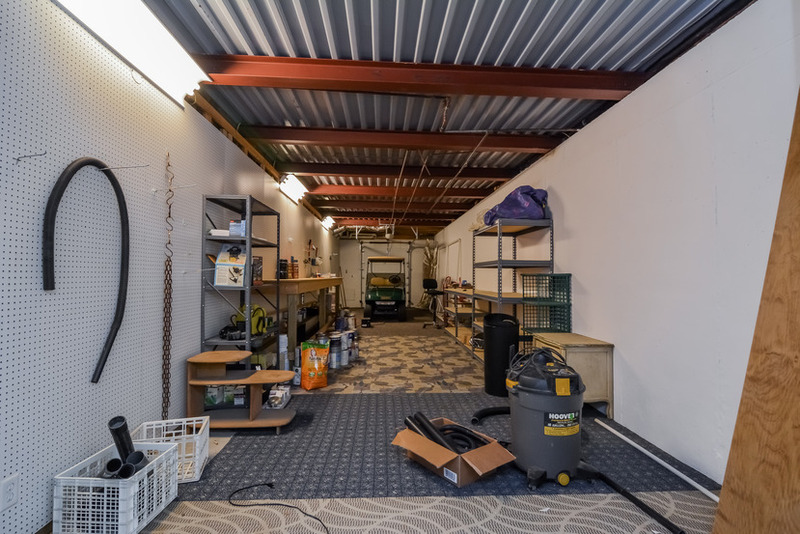 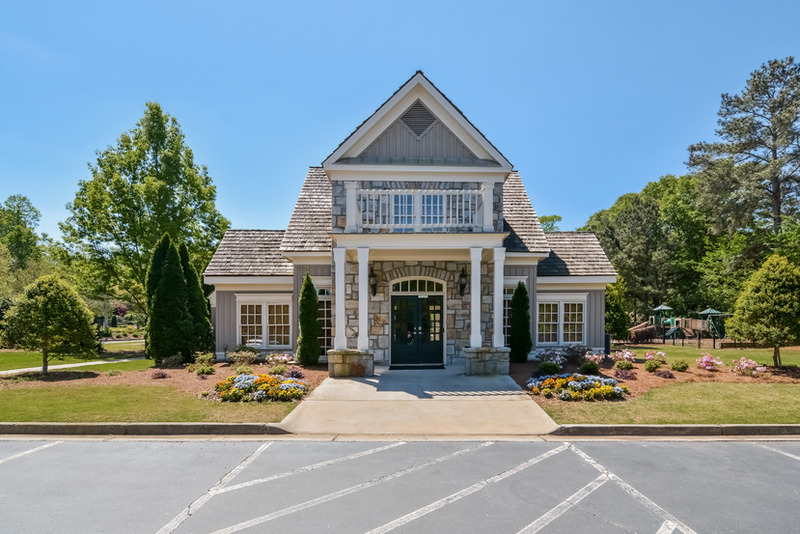 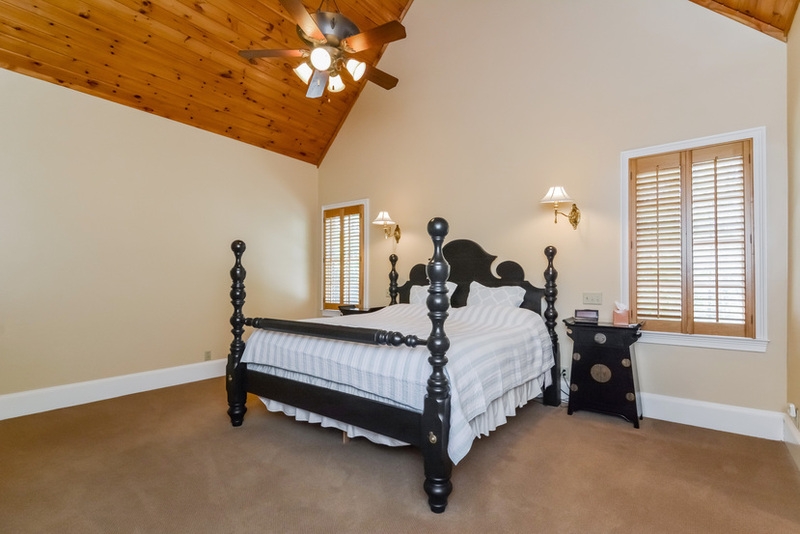 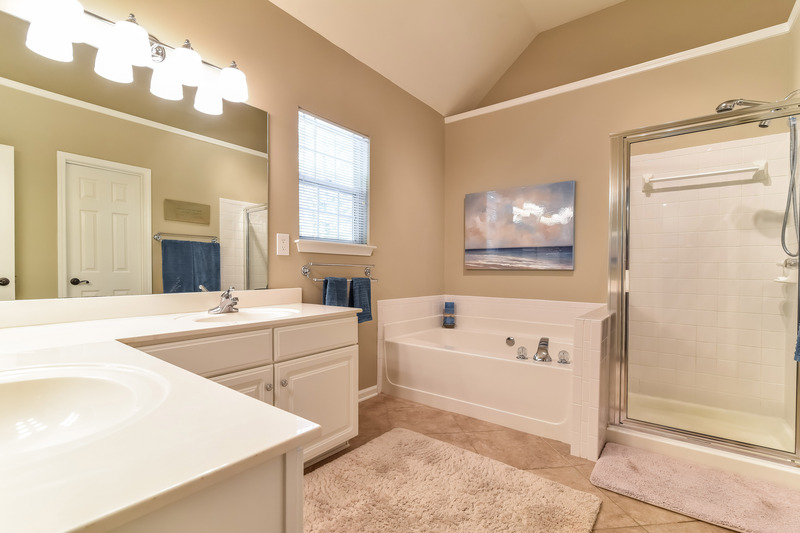 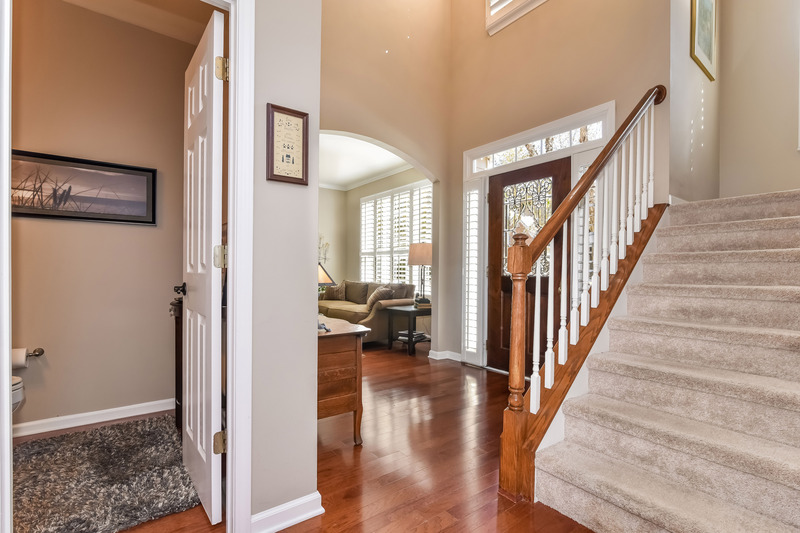 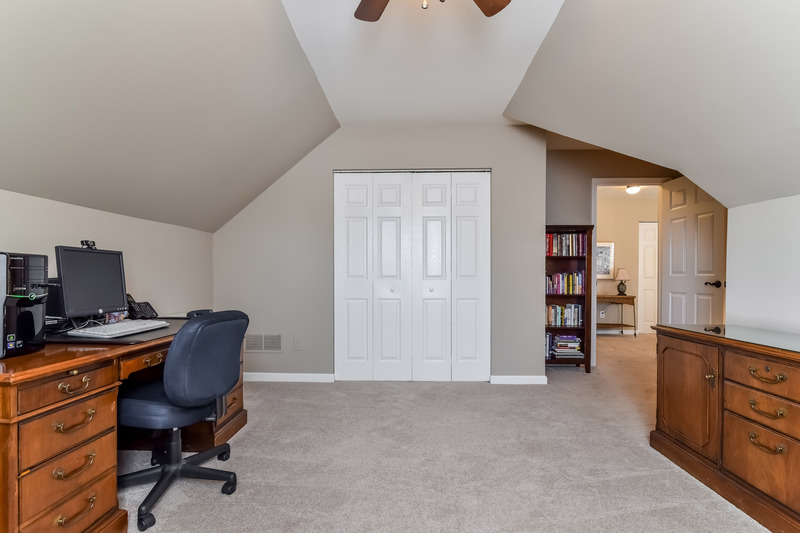 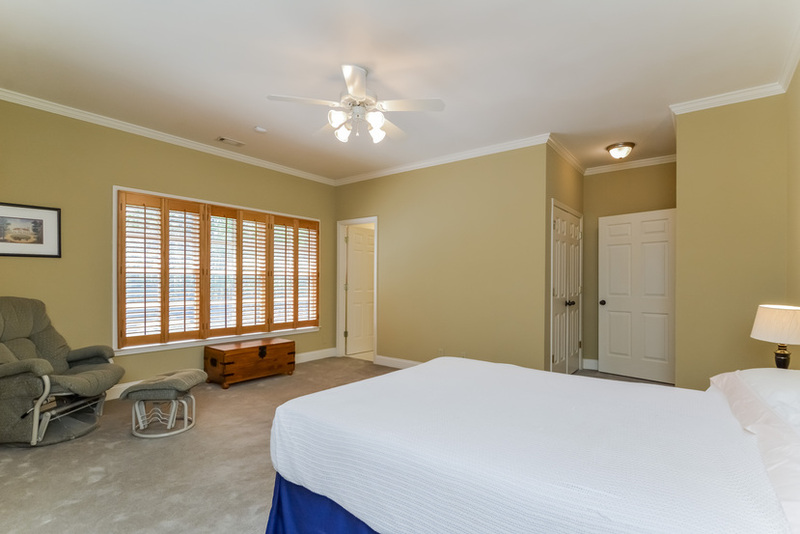 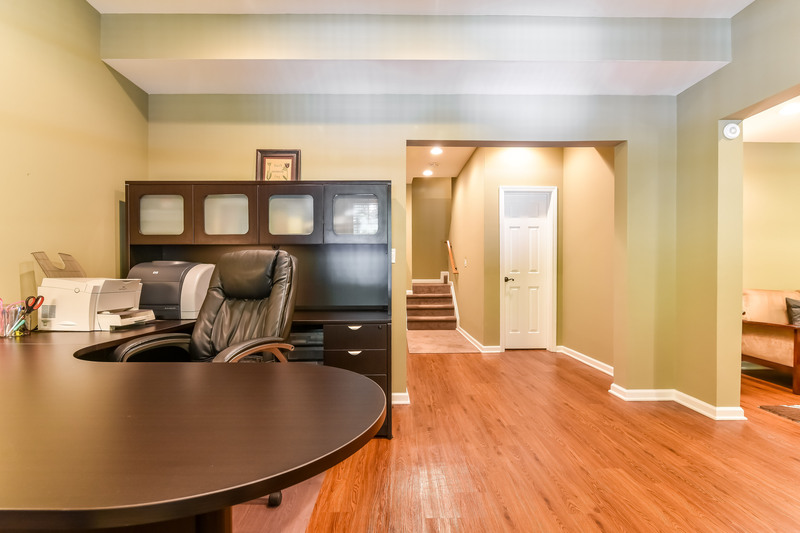 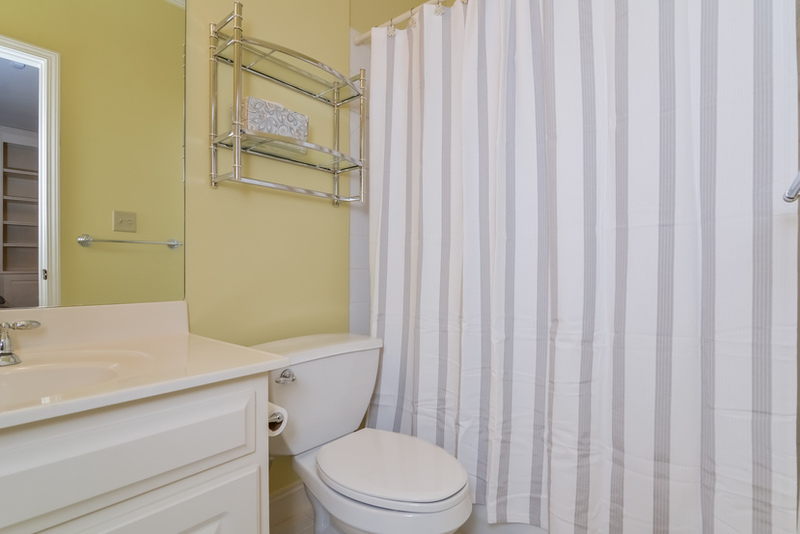 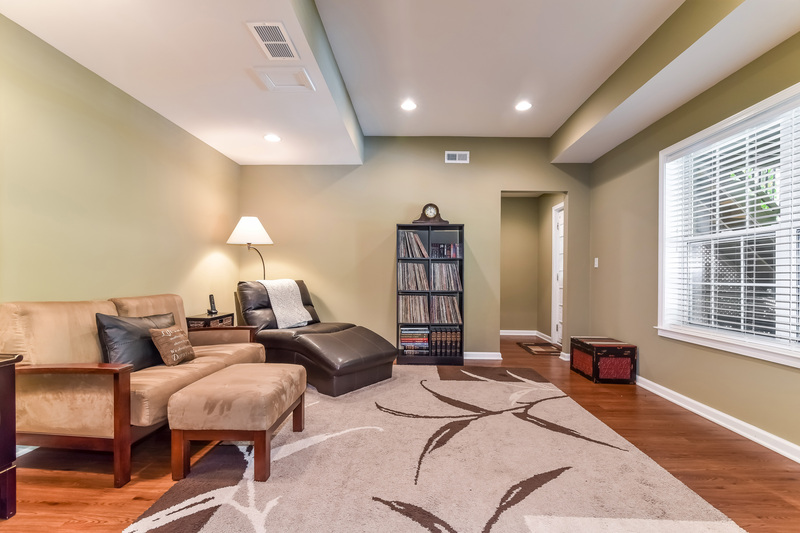 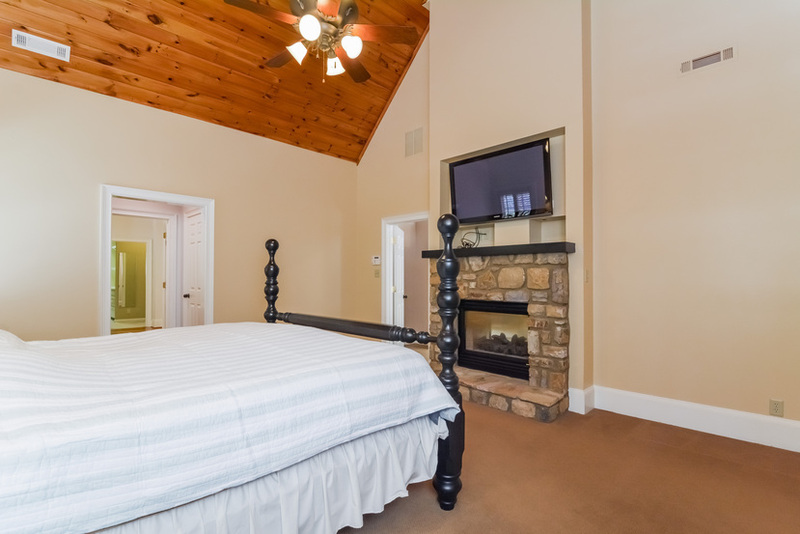 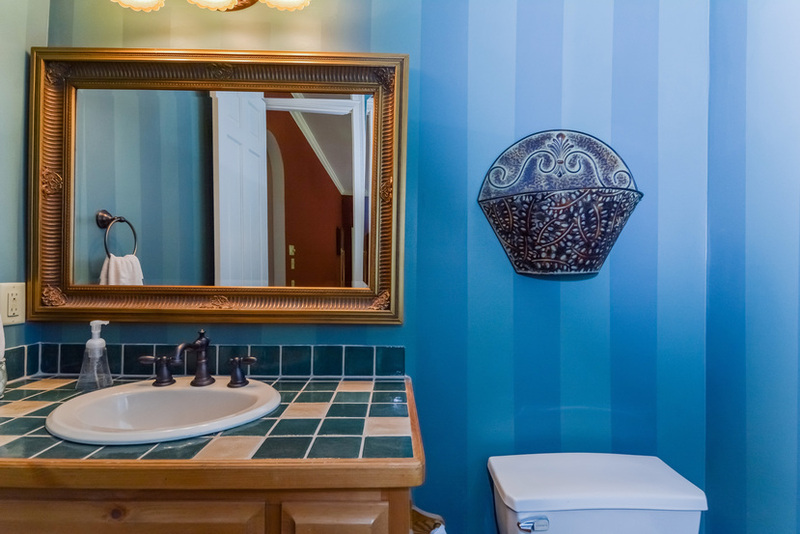 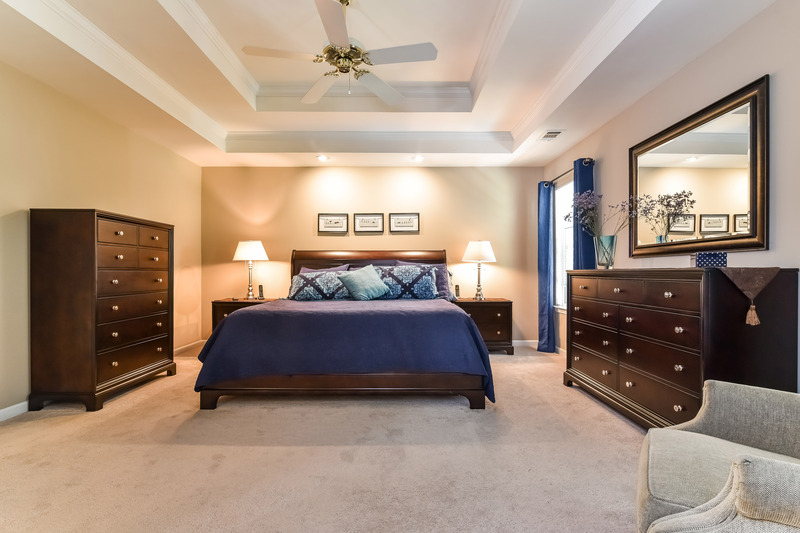 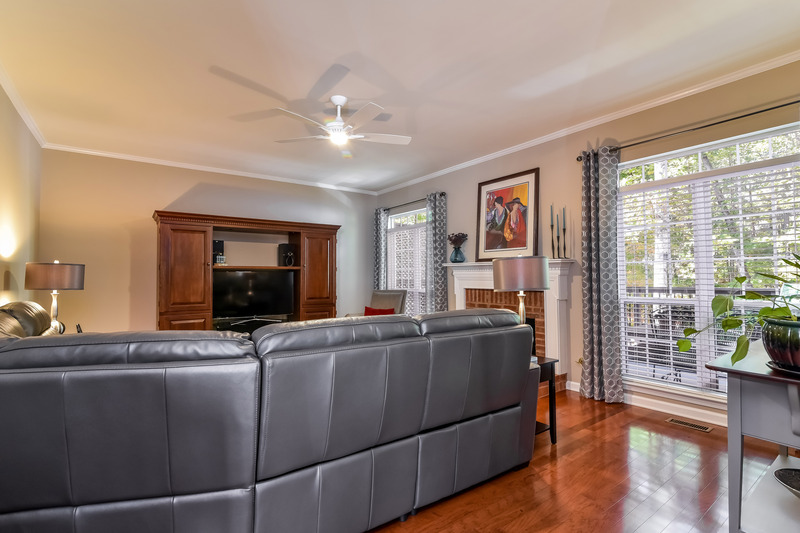 Upstairs, owner’s suite boasts spacious walk-in closet, bright & open bath, double vanities, separate tub & walk-in shower, w a private water closet. 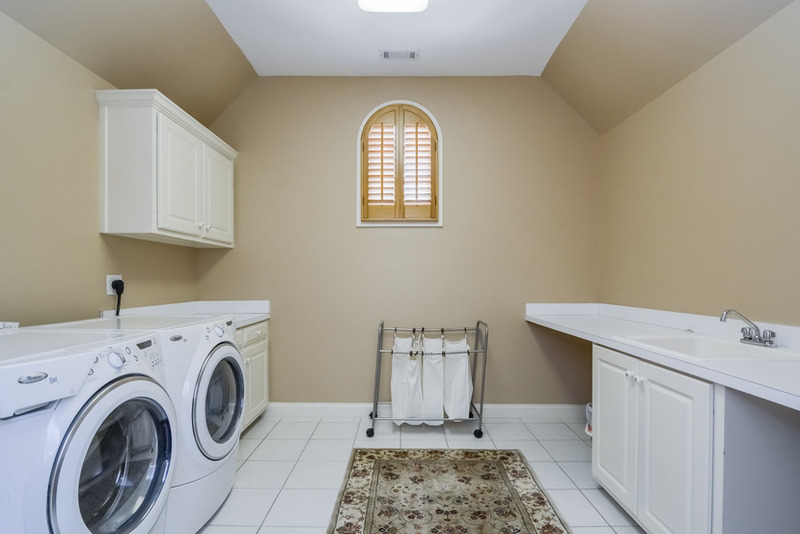 The laundry is also located upstairs, for your convenience. 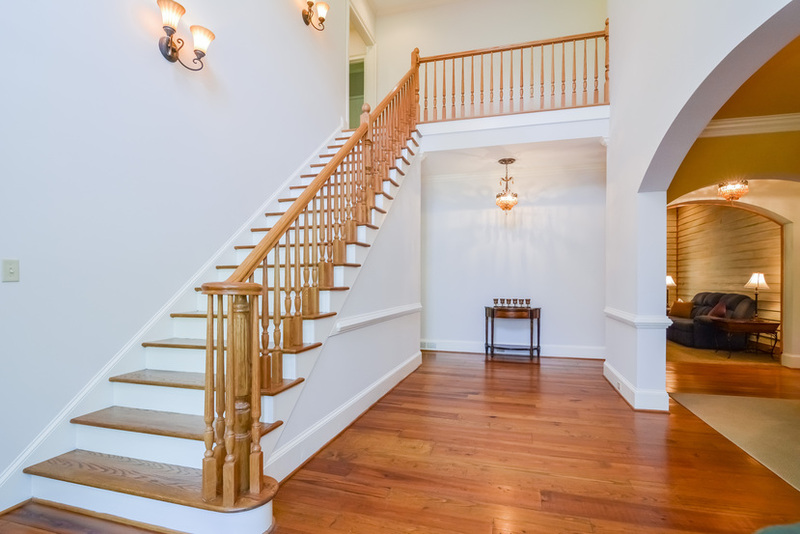 Finished terrace level is beautiful! 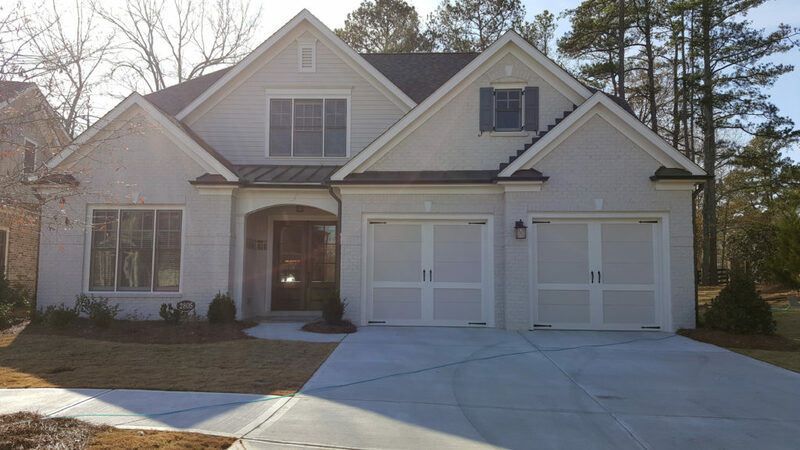 This beautiful new construction home by The Providence Group is SOLD! 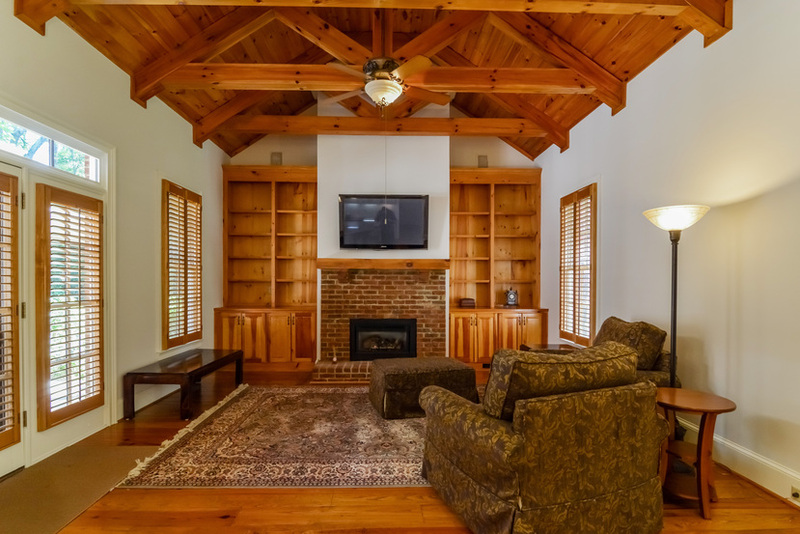 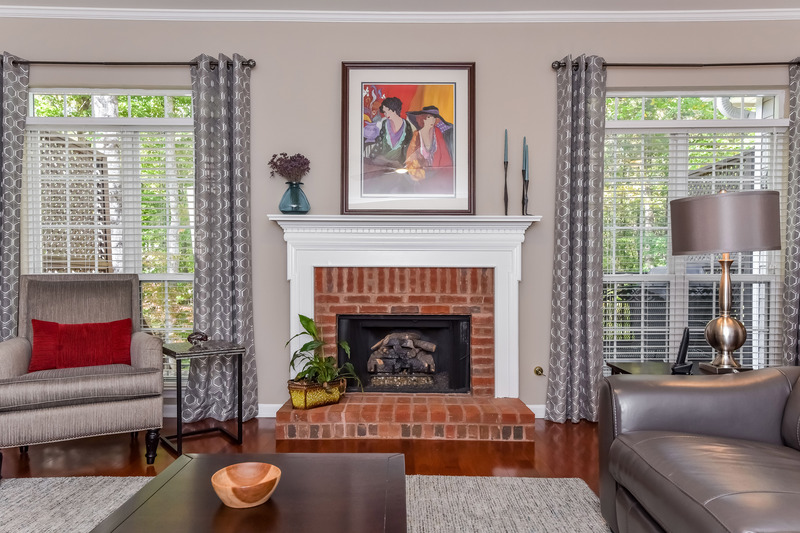 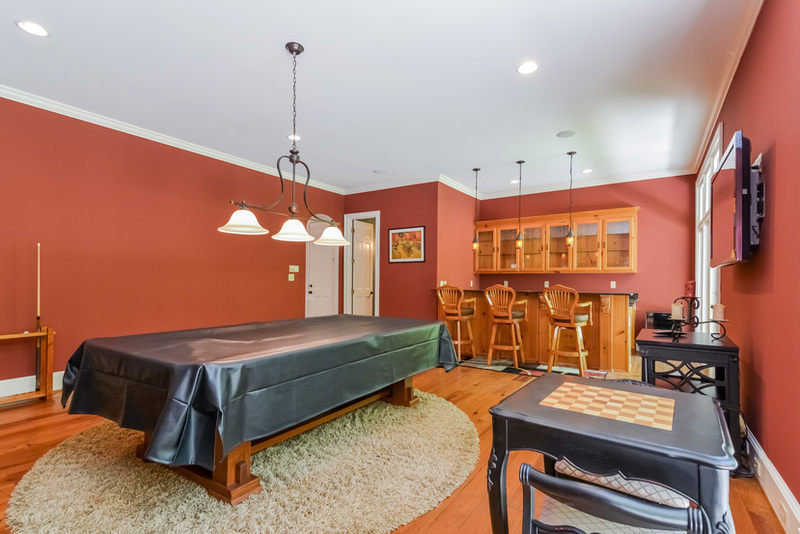 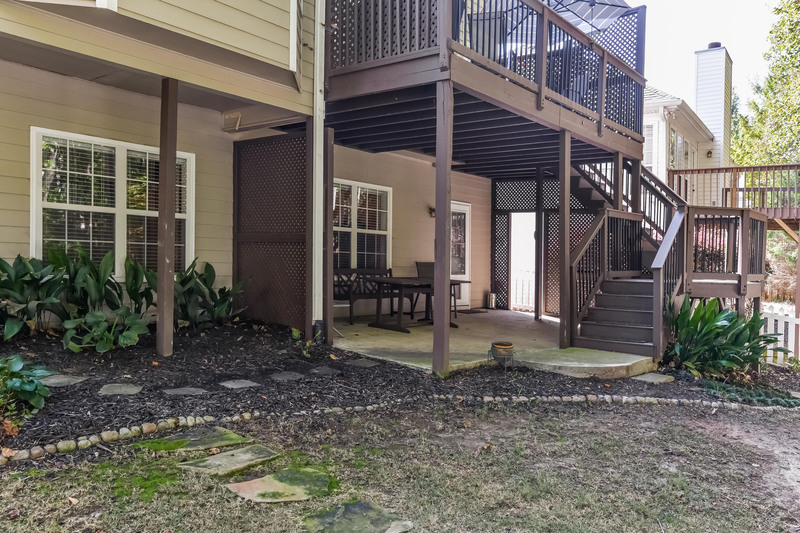 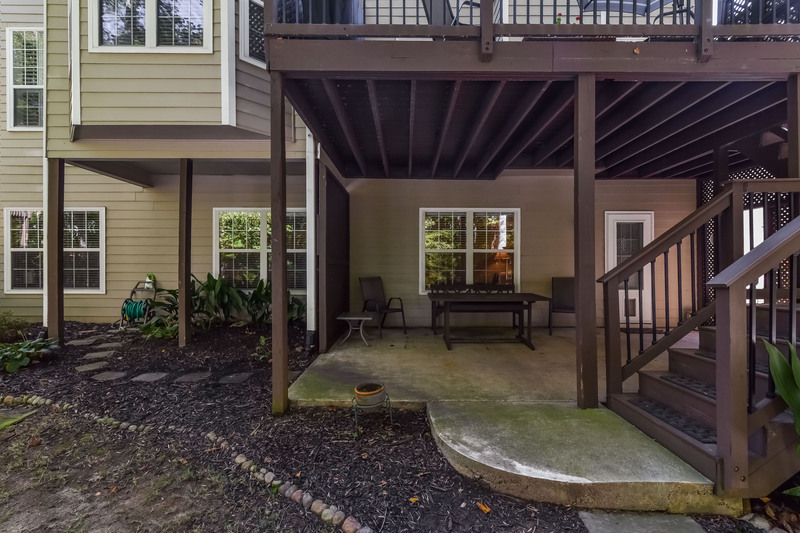 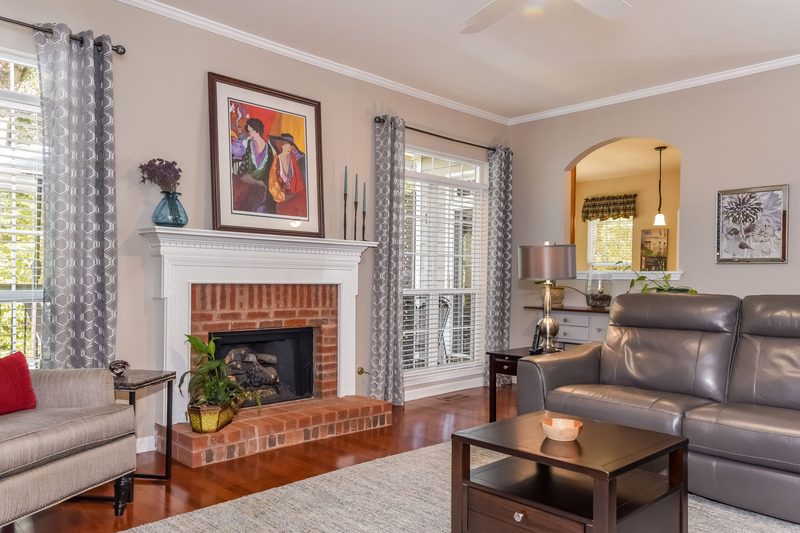 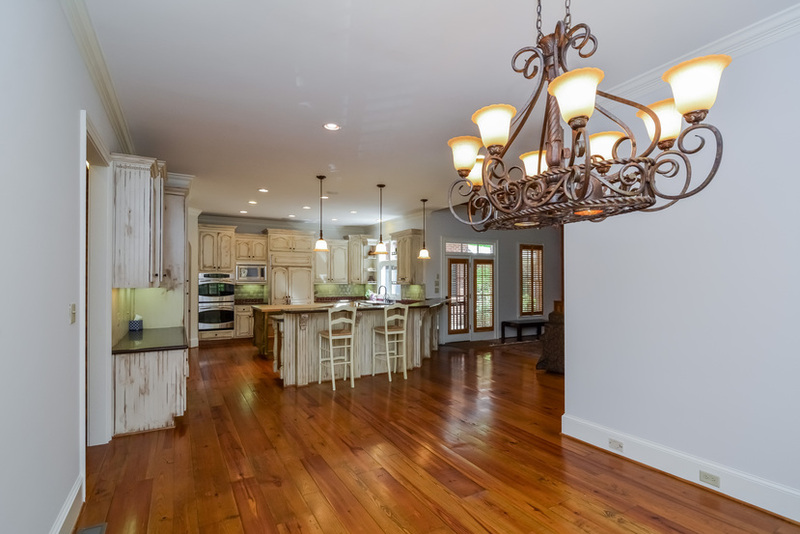 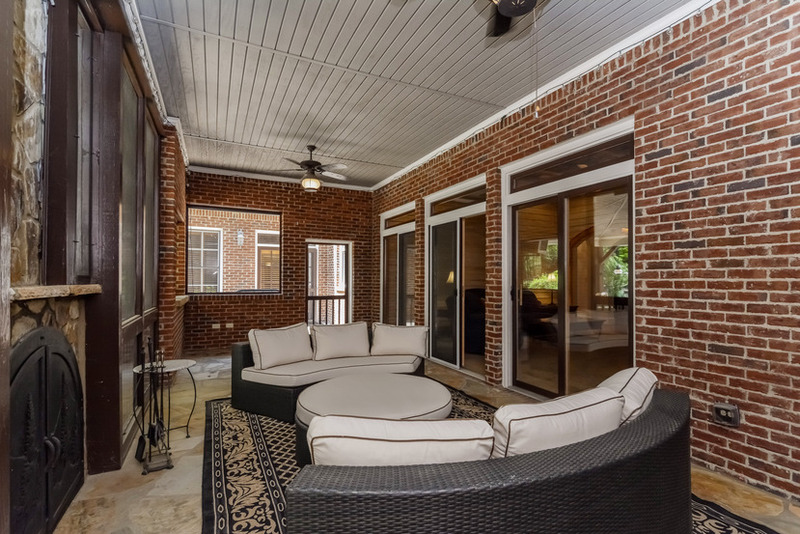 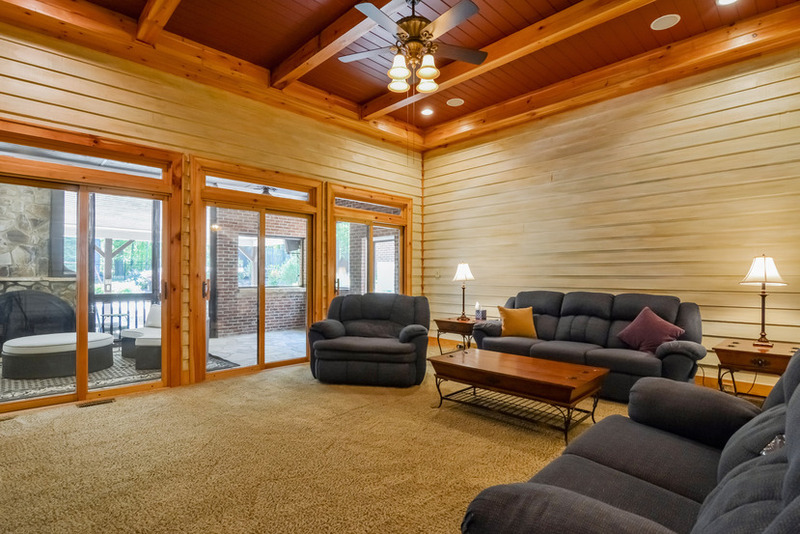 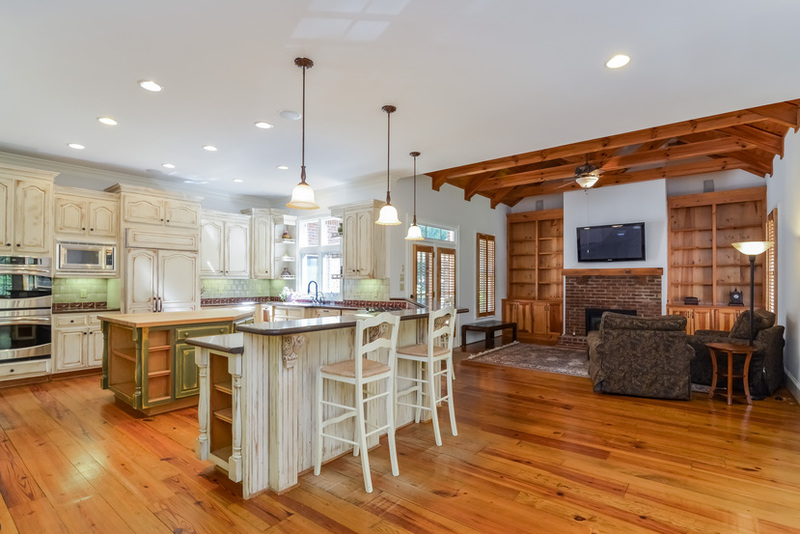 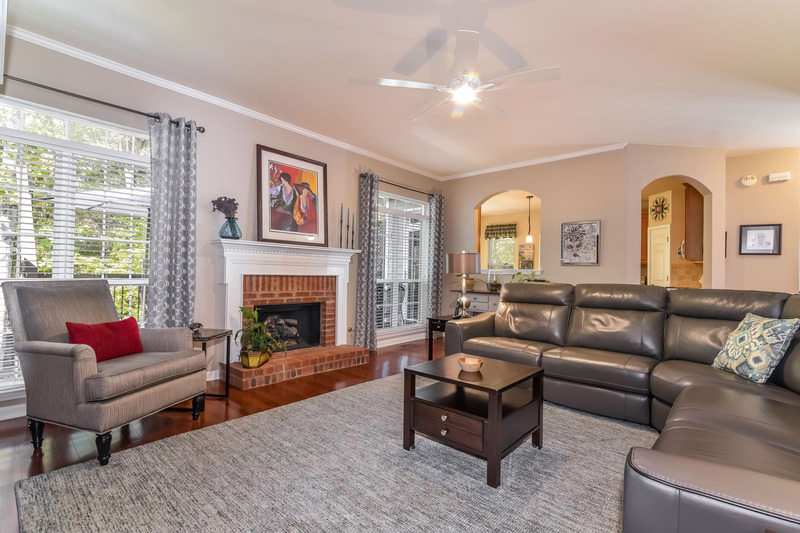 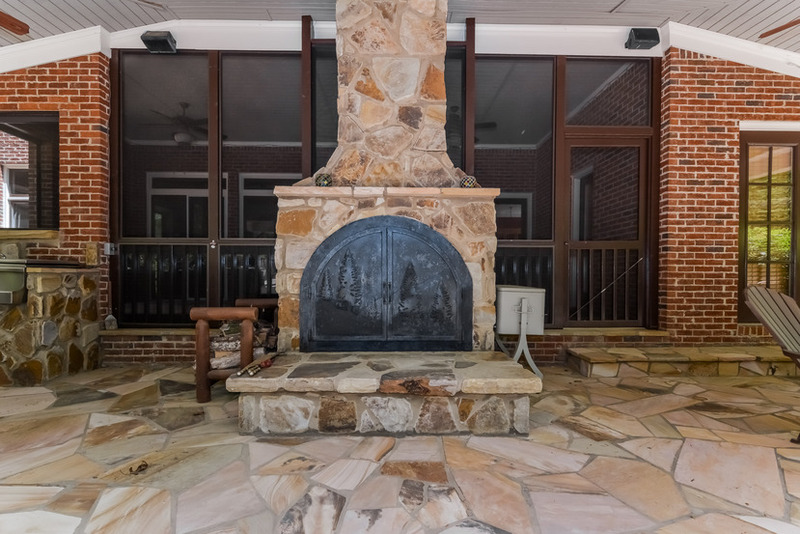 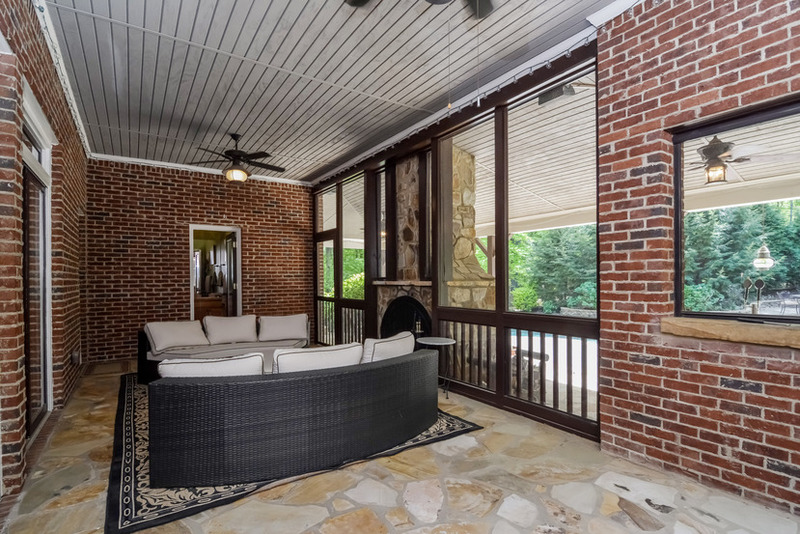 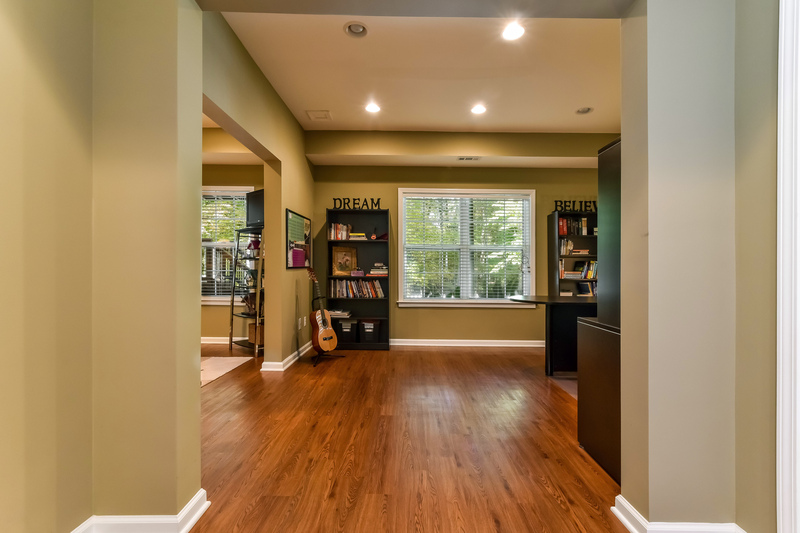 This home features 3 bedrooms on the main floor, a loft and guest suite upstairs, screened porch with brick flooring and bead-board ceiling, rich, dark hardwoods, and a gorgeous kitchen! 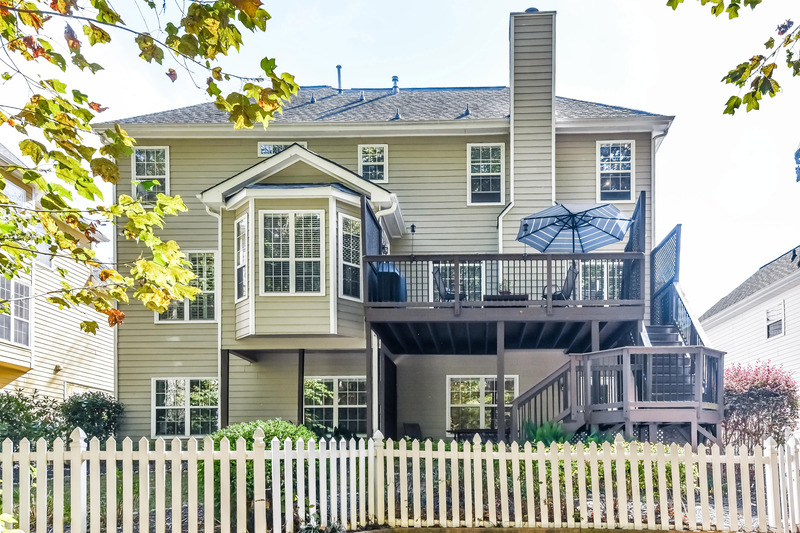 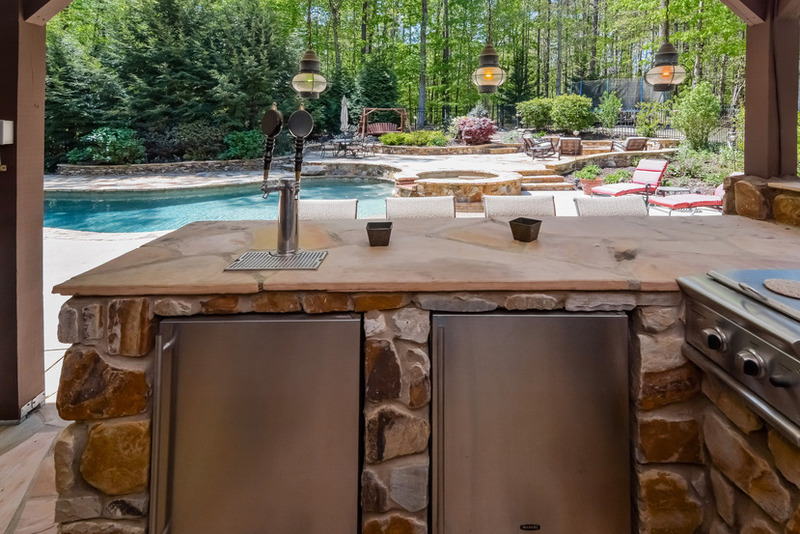 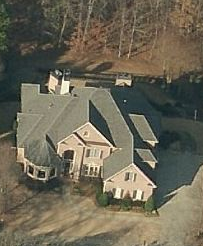 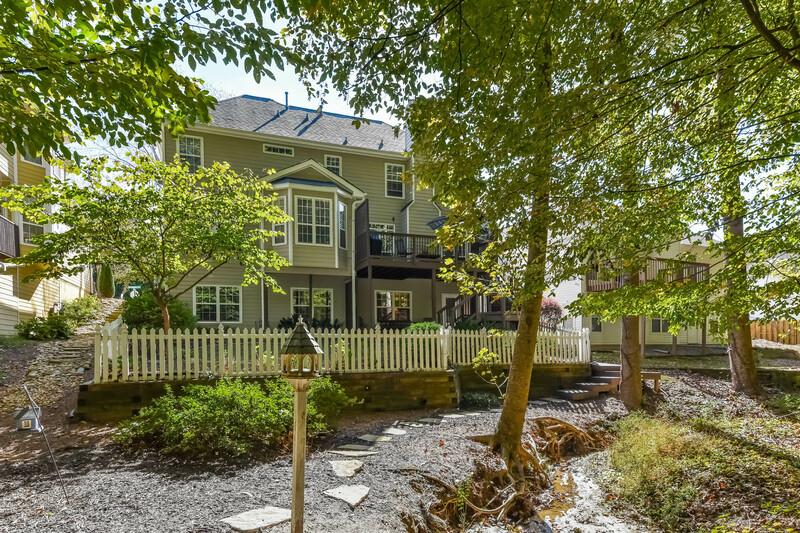 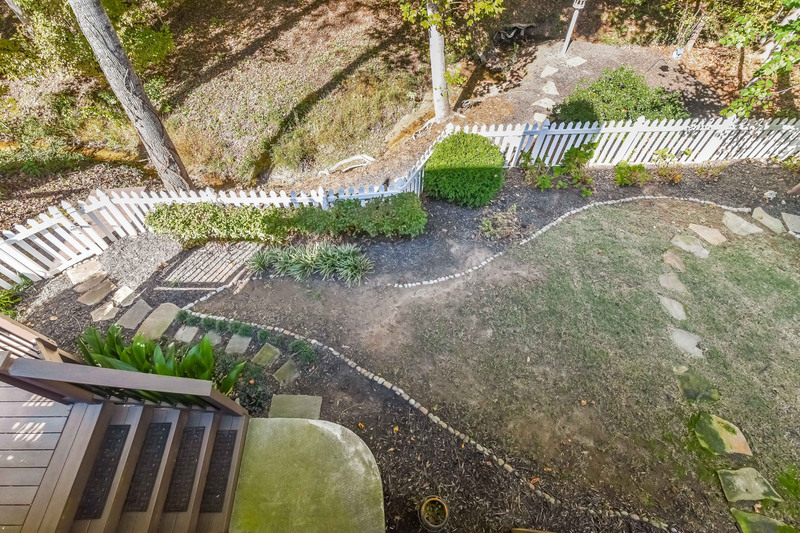 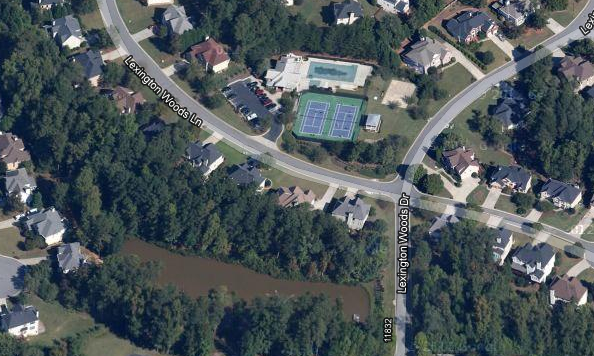 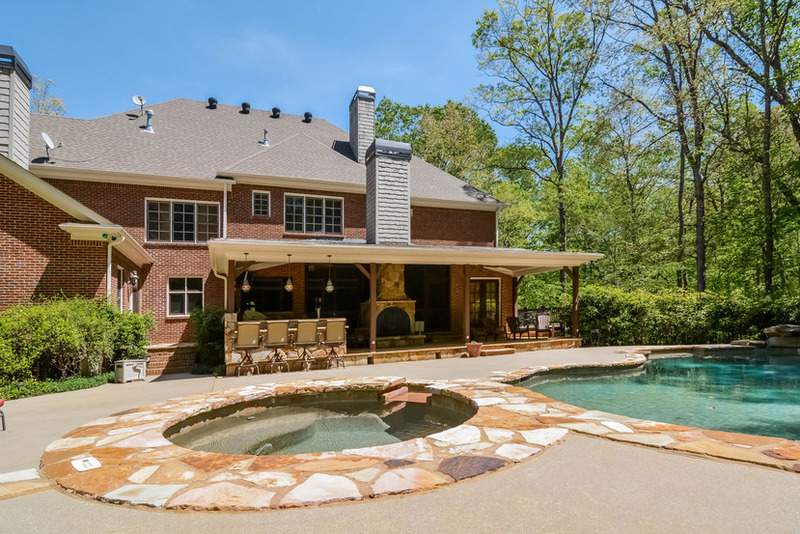 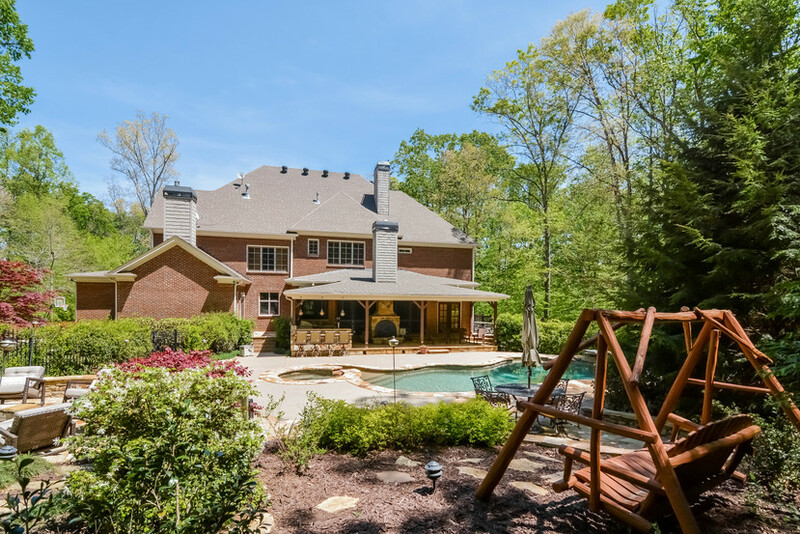 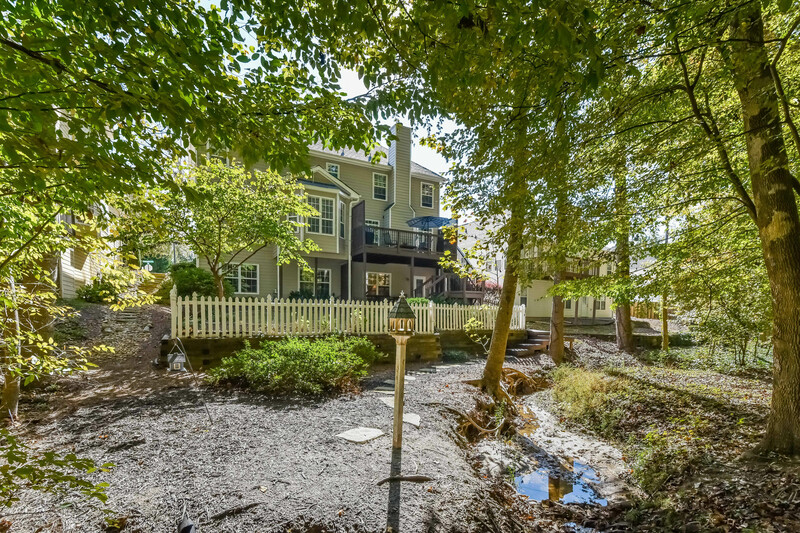 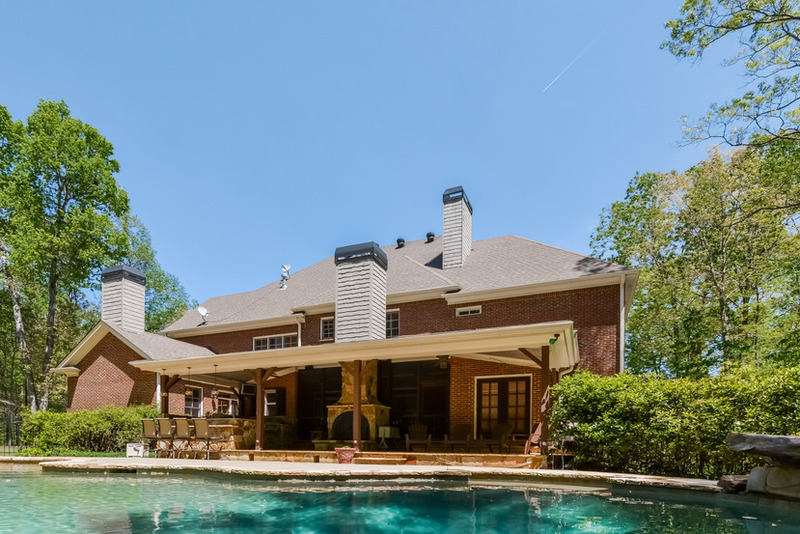 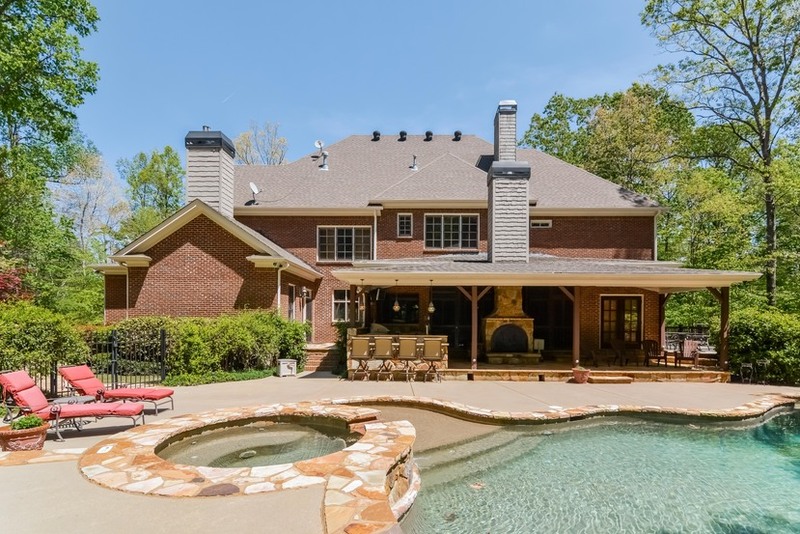 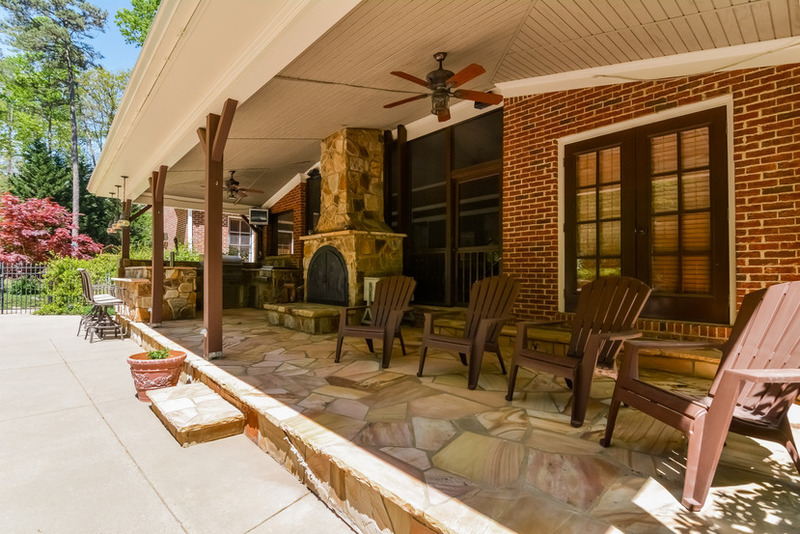 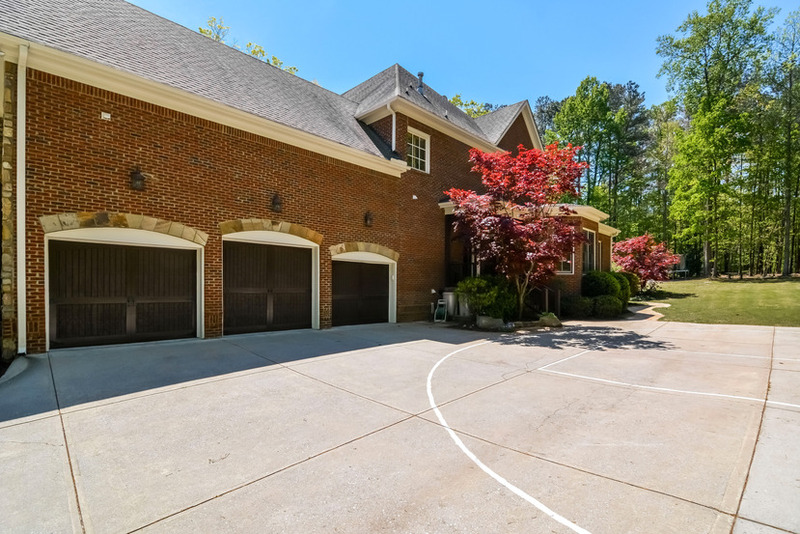 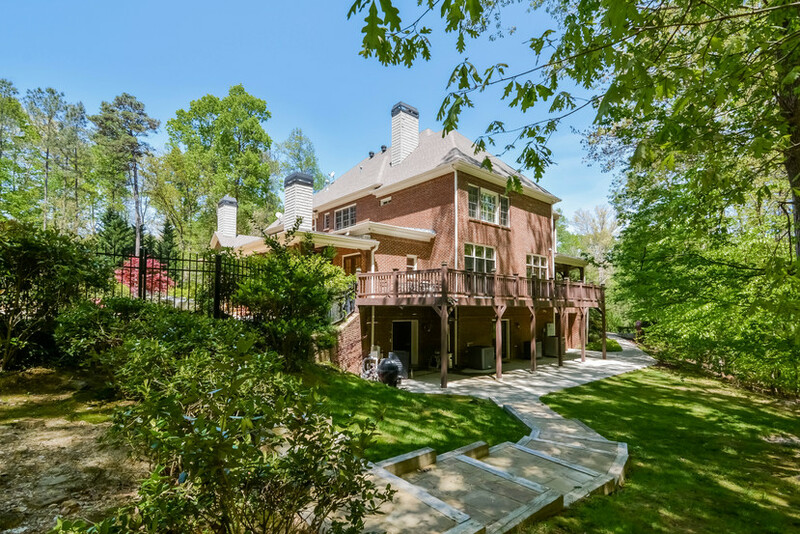 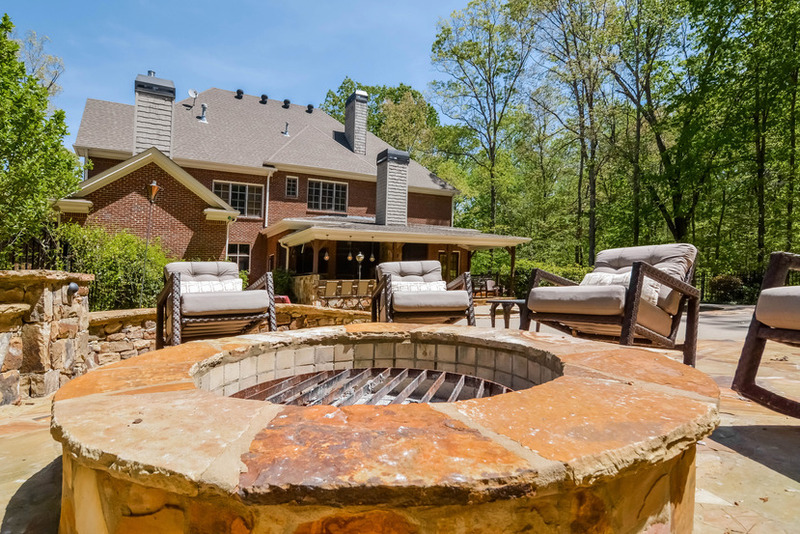 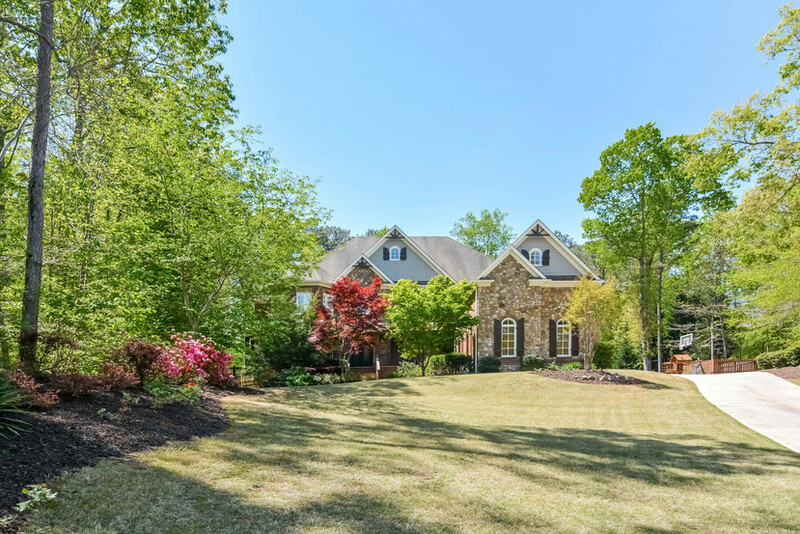 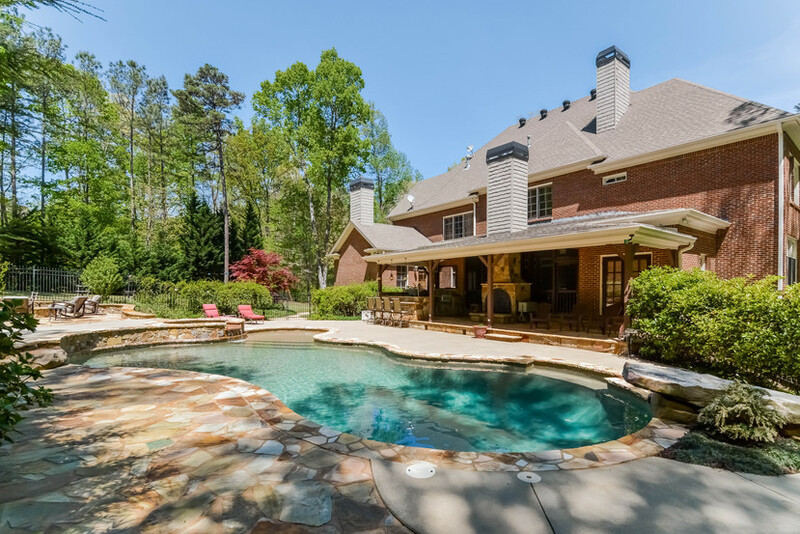 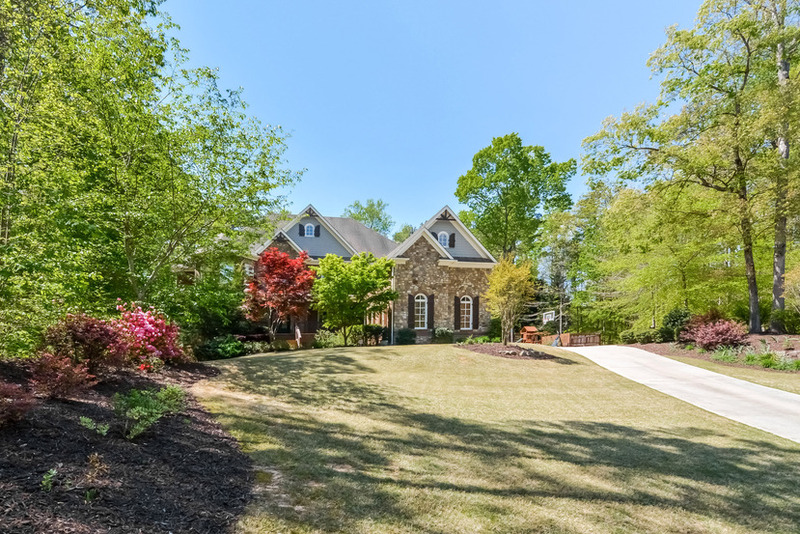 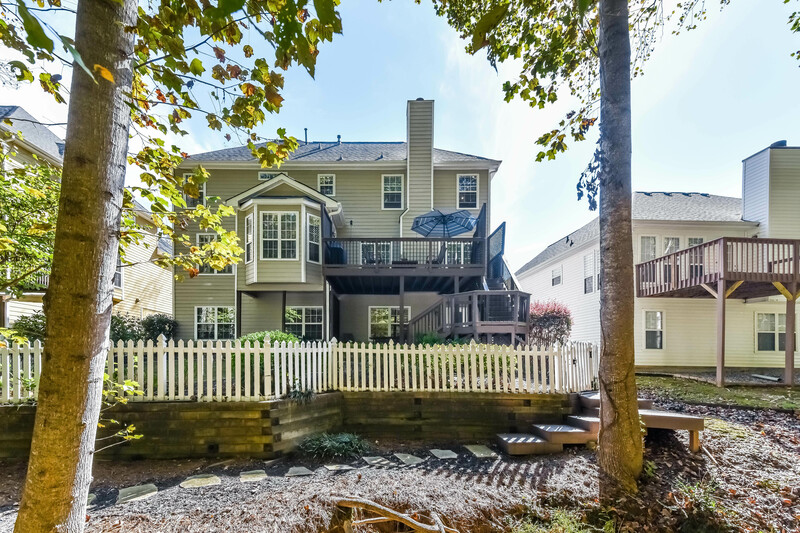 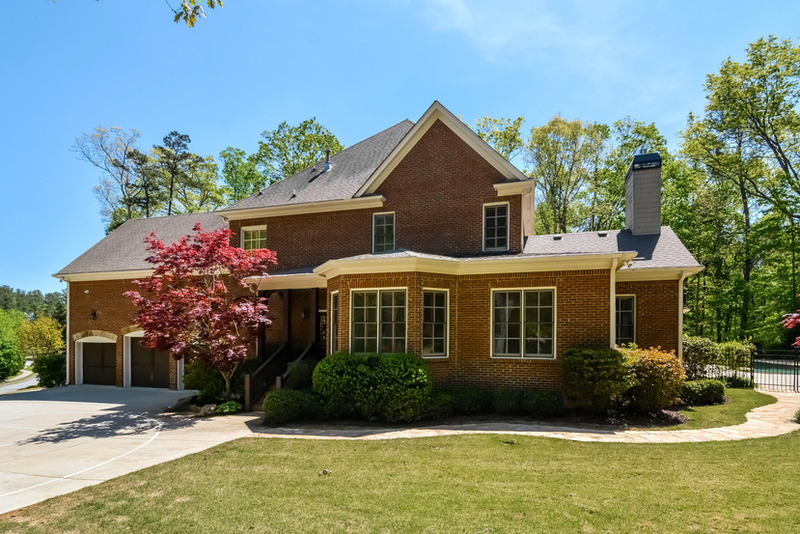 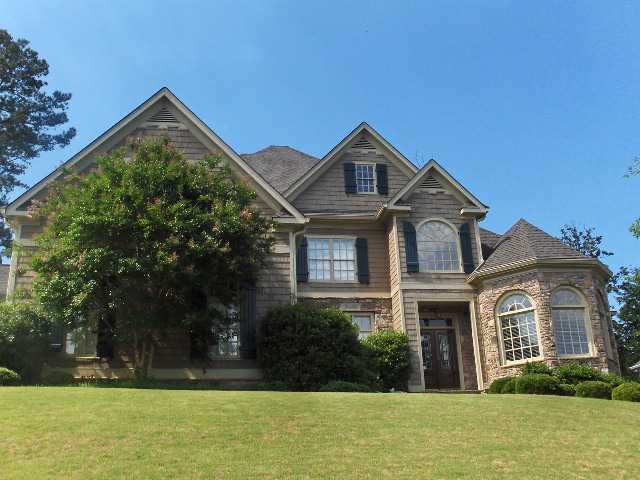 Stunning yard, private lot: saltwater pool, hot tub, firepit, outdoor kitchen, views of the creek & wrap-around porch. 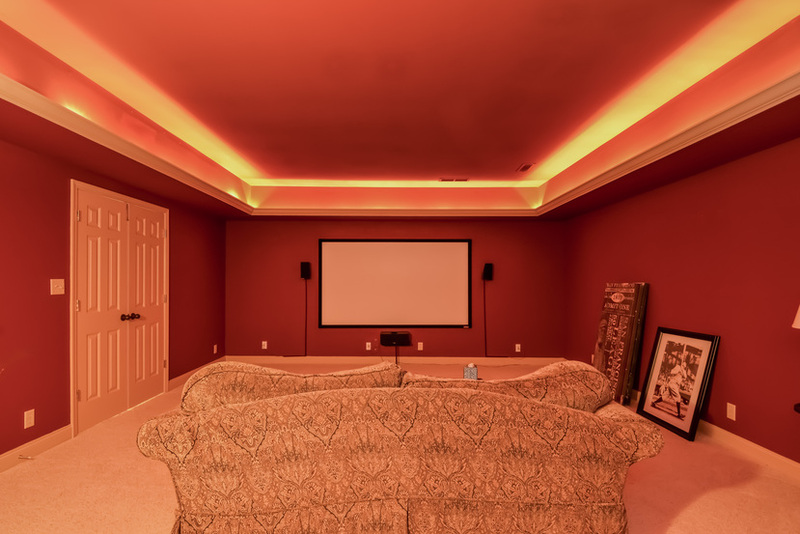 Entertainer’s dream! 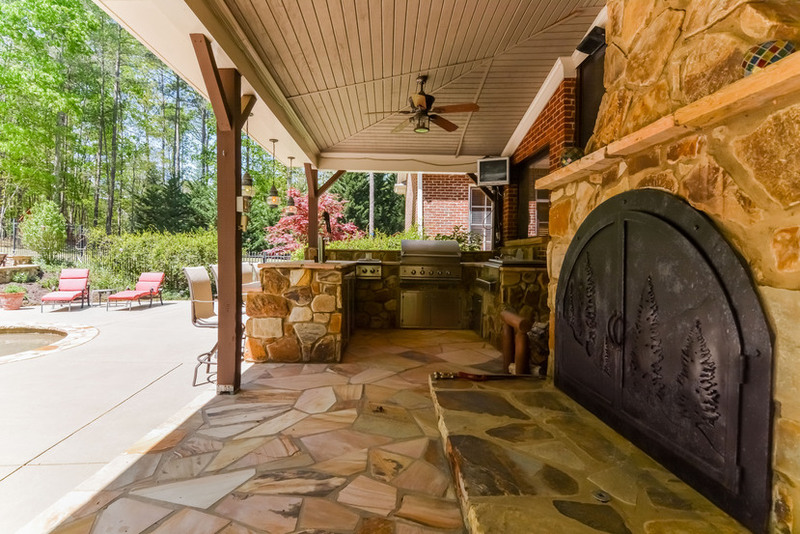 Rocking chair front porch, main-level office, billiards room with built-in bar, fireside family room with built-ins, opens to the screened porch (featuring a double-sided fireplace to the outdoor kitchen), cook’s kitchen with walk-in pantry, Subzero fridge, ge profile double ovens & micro, bosch dishwasher, kohler sink, instant hot, open to vaulted keeping room! 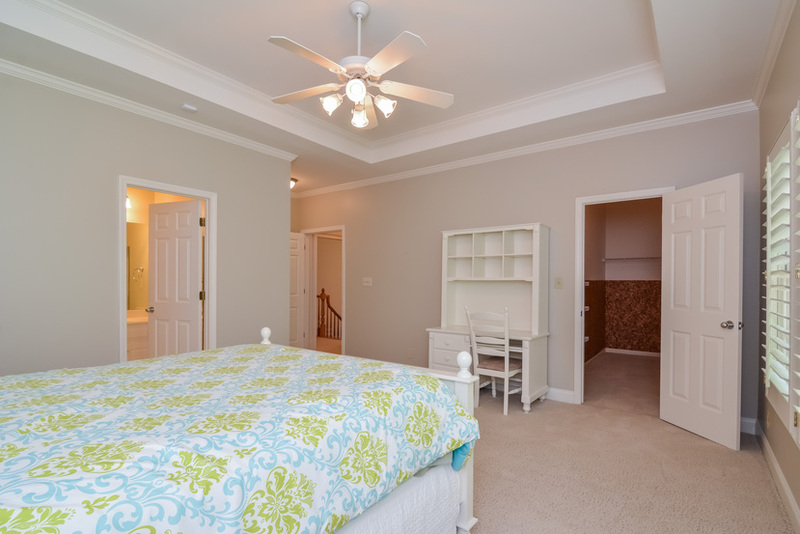 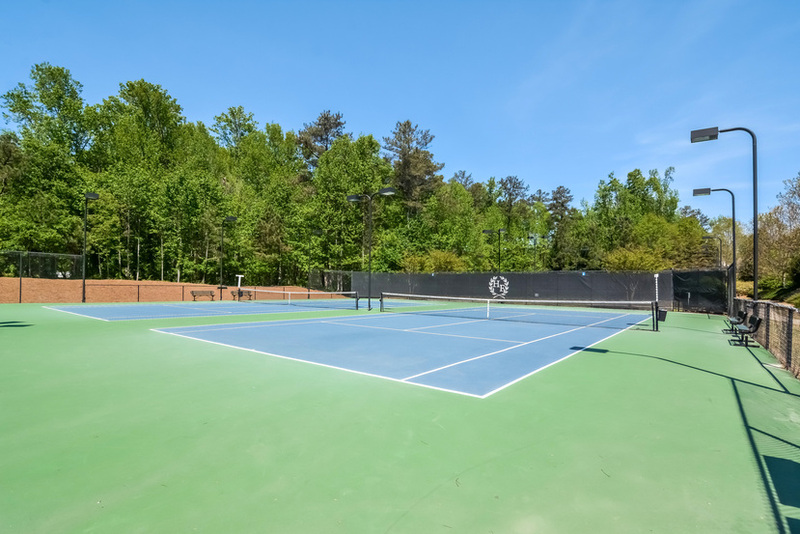 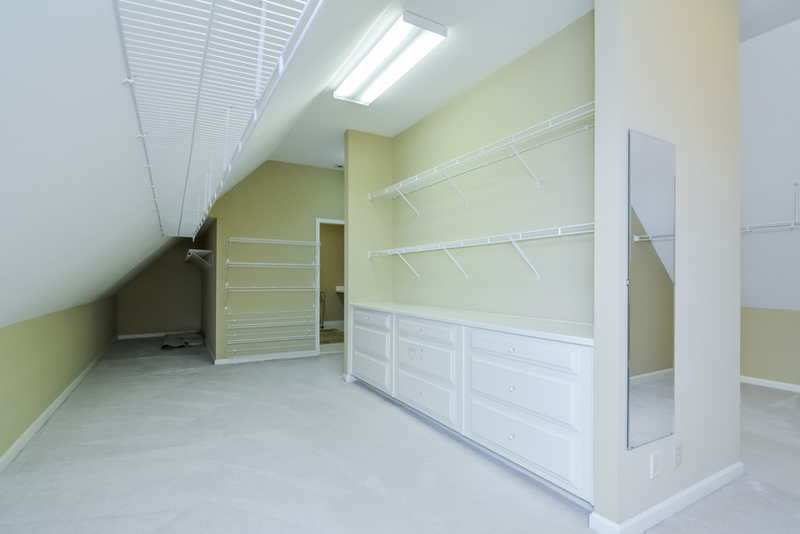 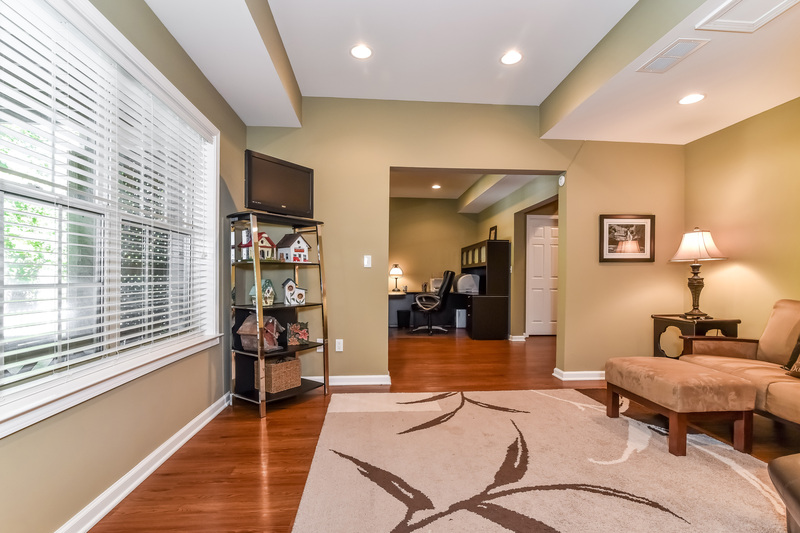 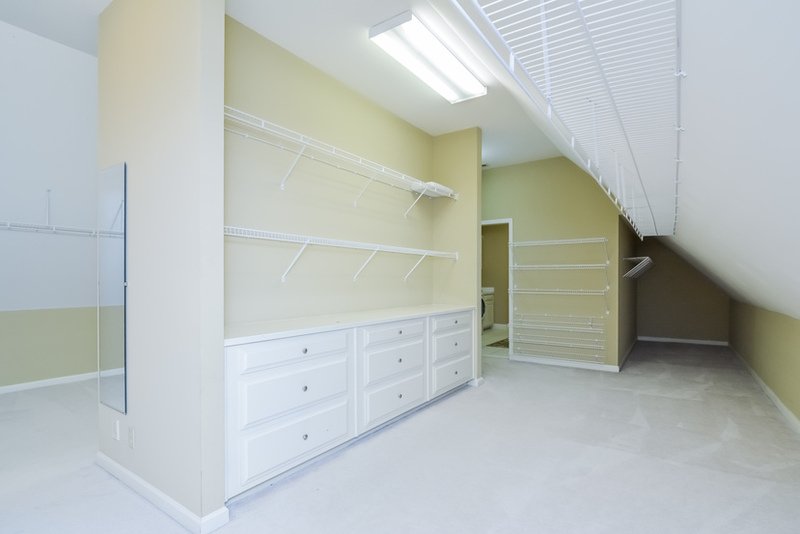 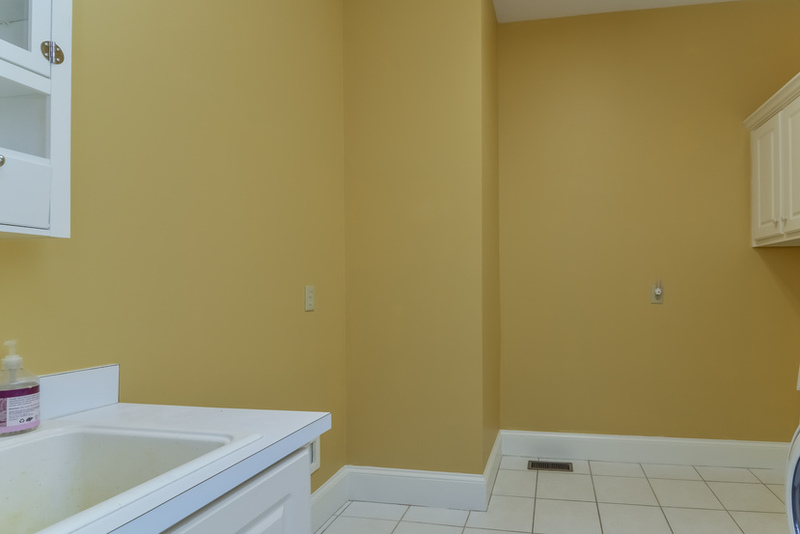 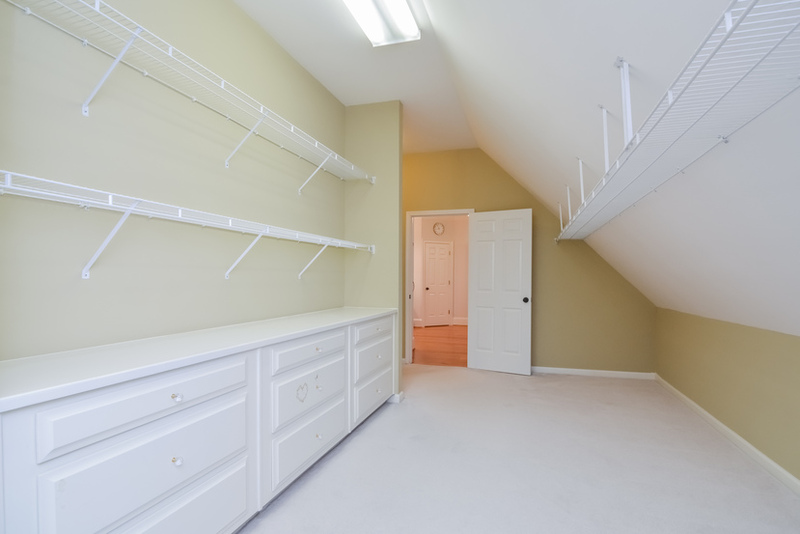 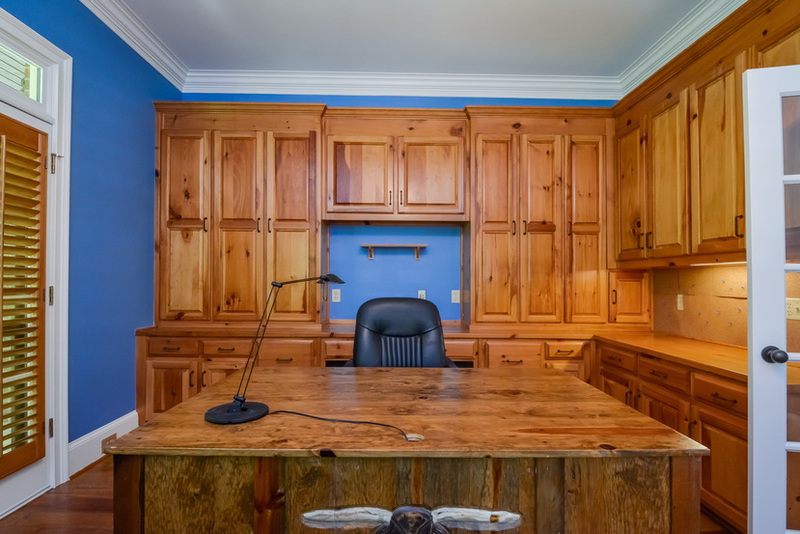 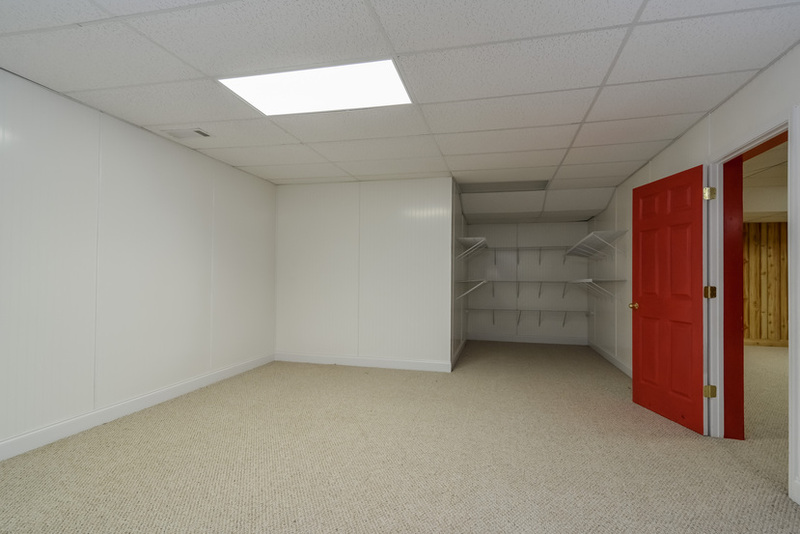 Owner’s suite has huge walk-in closet, own laundry +more! 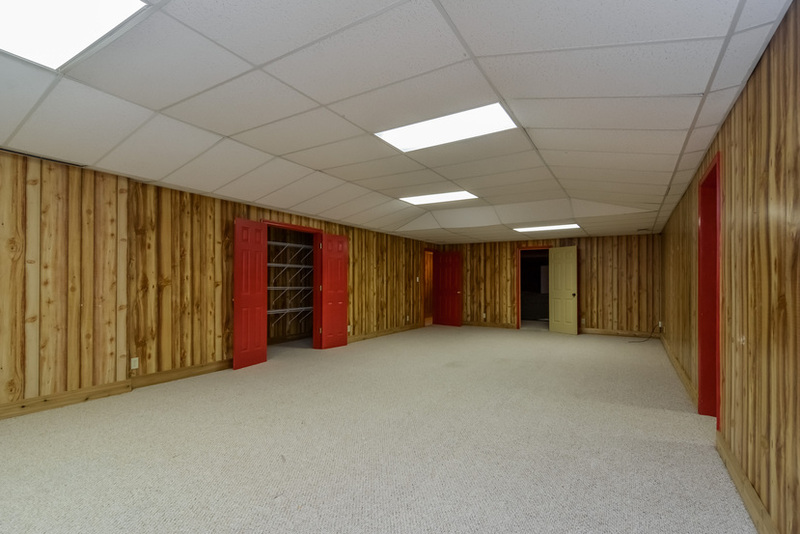 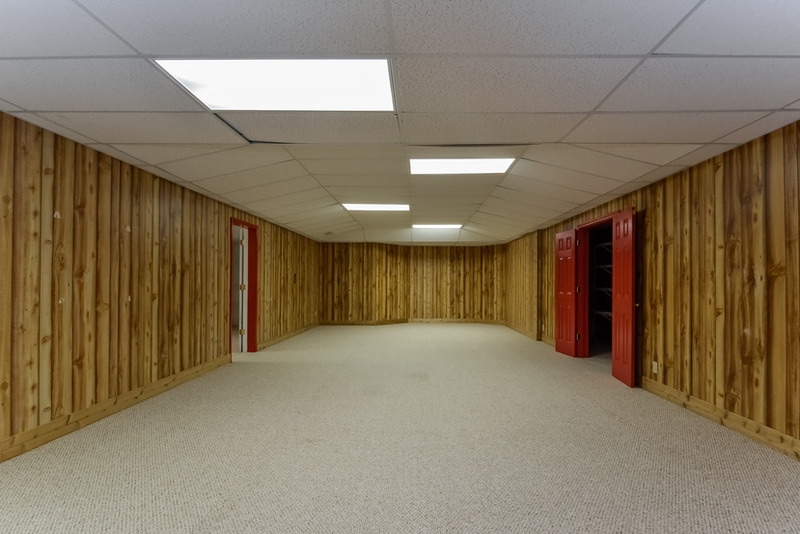 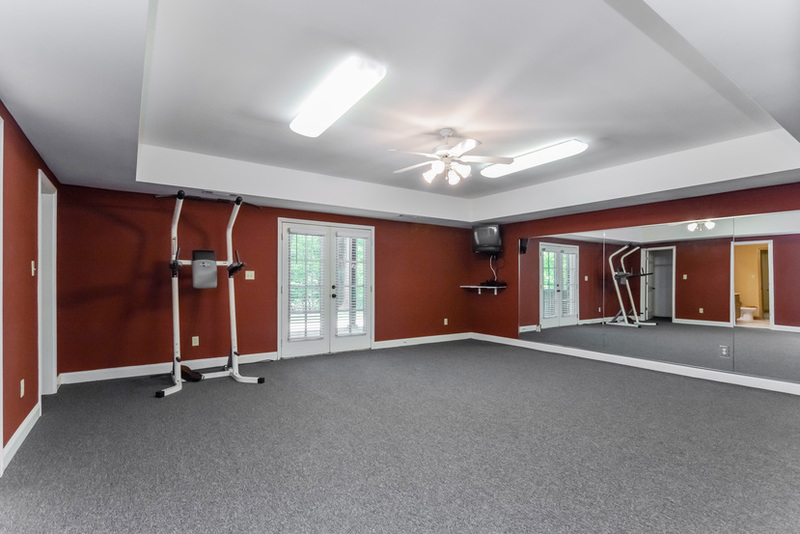 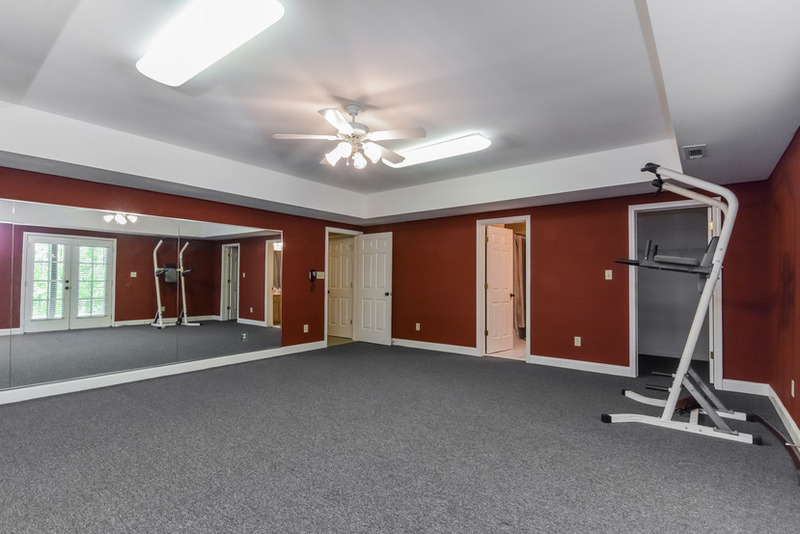 Media, exercise rooms! 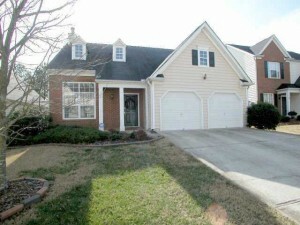 Great 3 bedroom, 2.5 bath rental in Avensong. 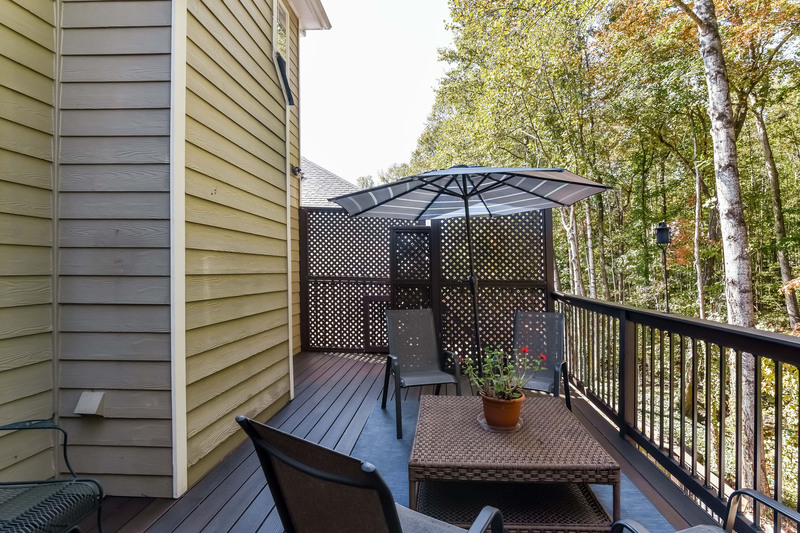 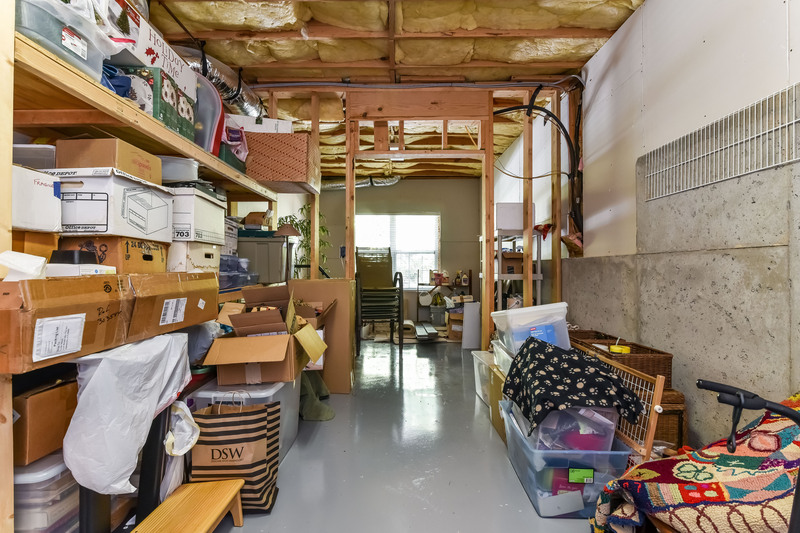 Master on main with loft great fenced yard. 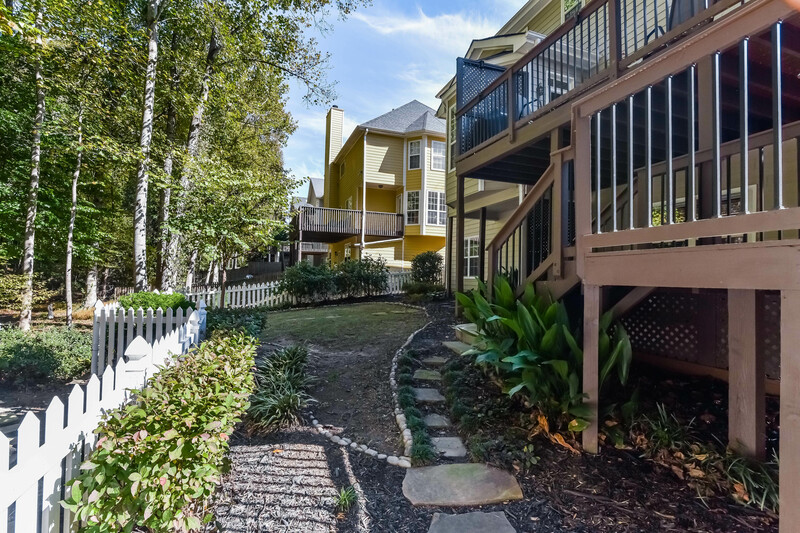 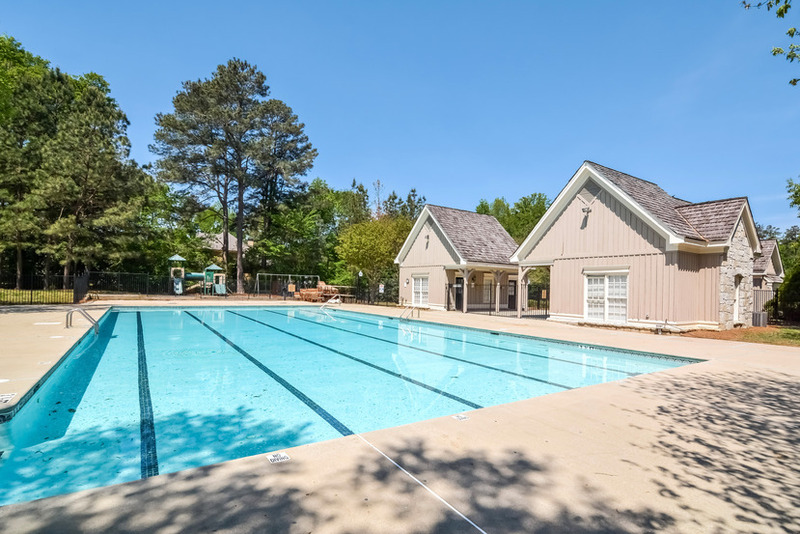 Great community close to restaurants shopping and businesses. 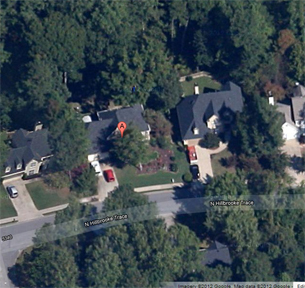 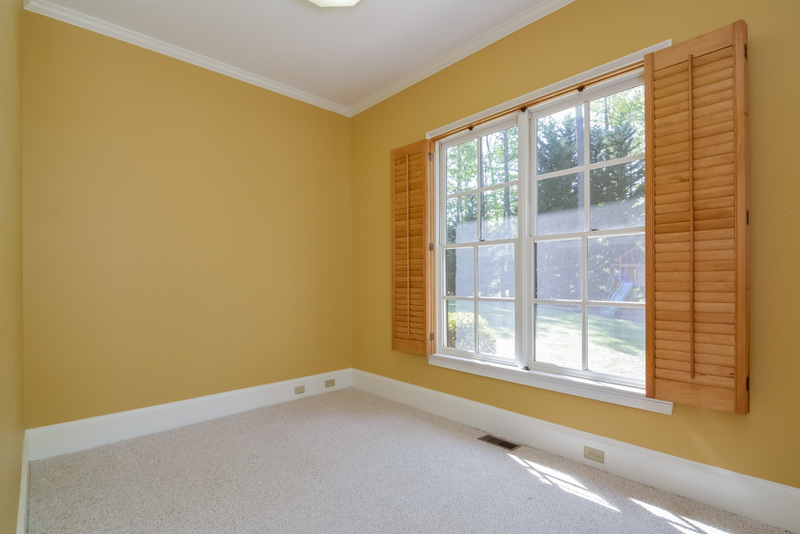 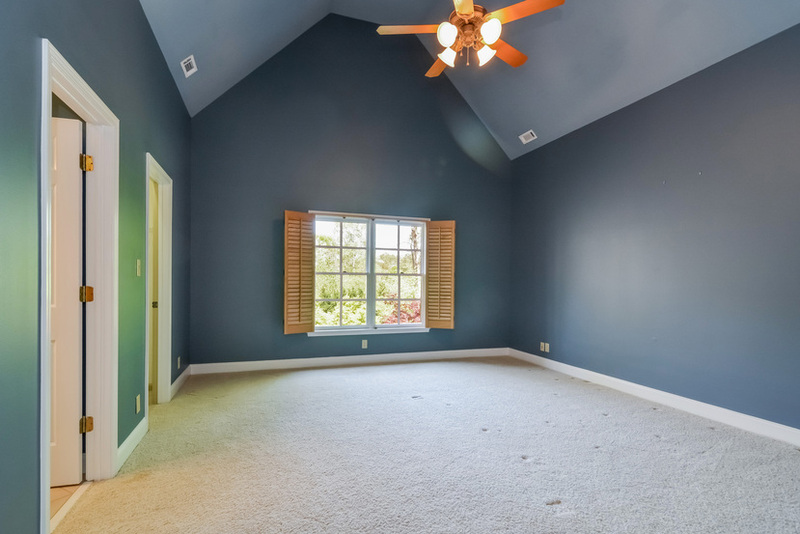 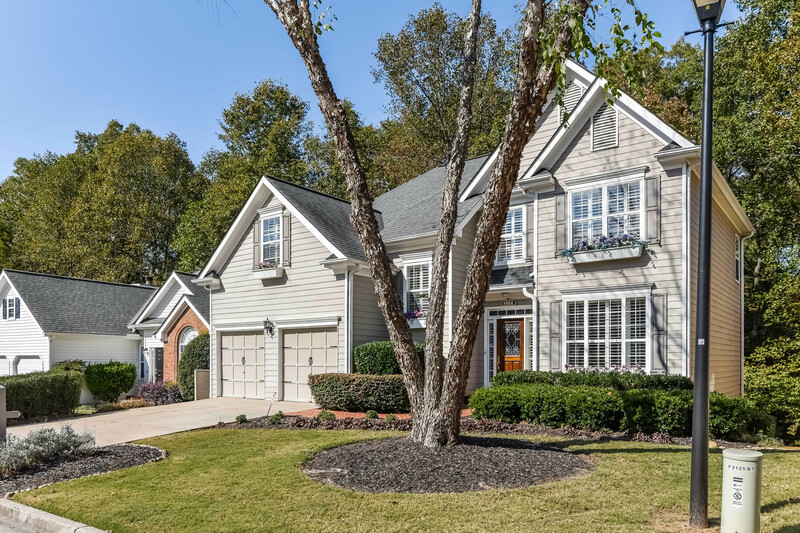 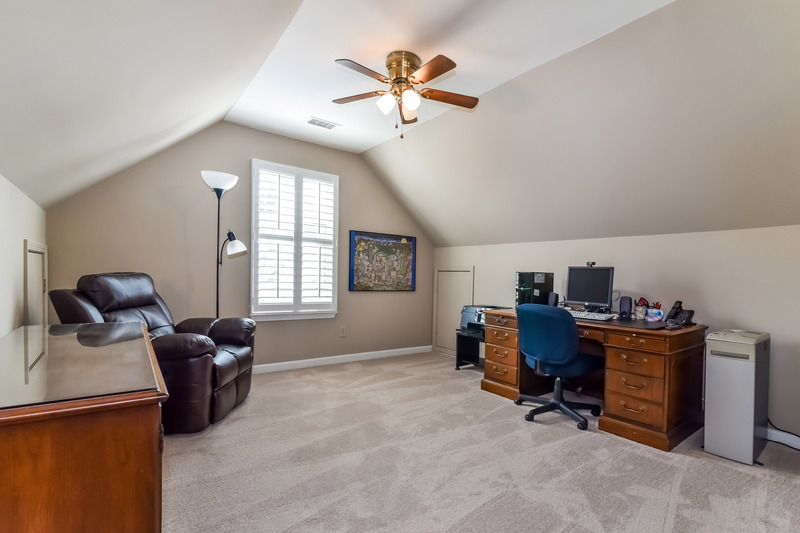 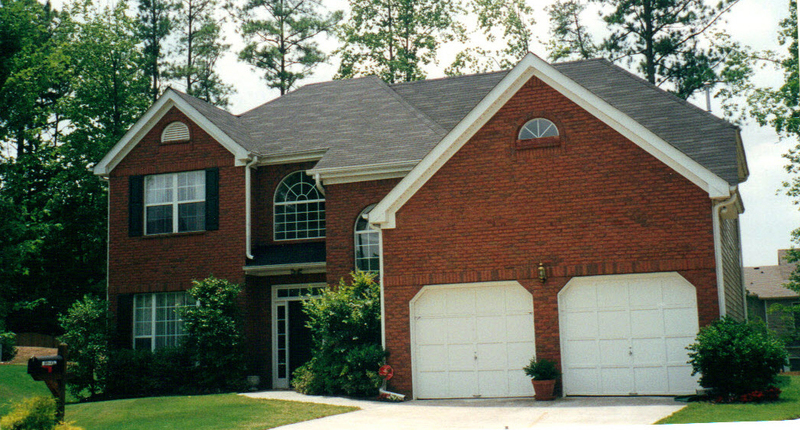 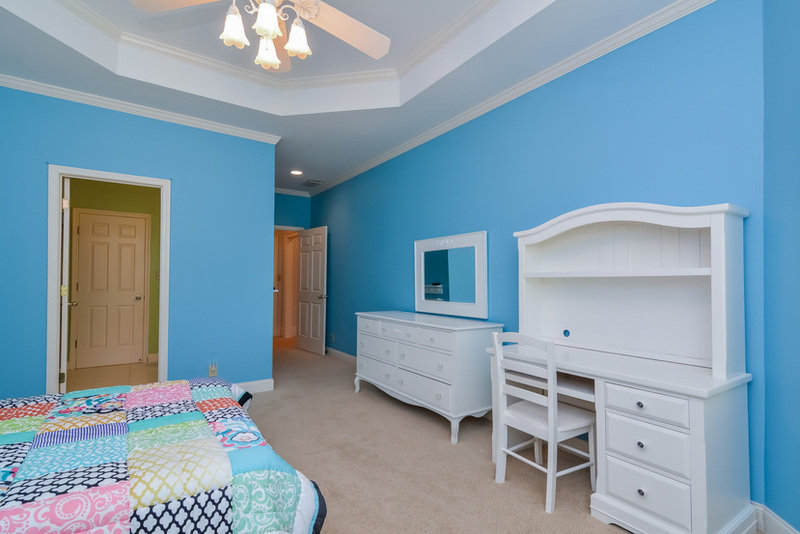 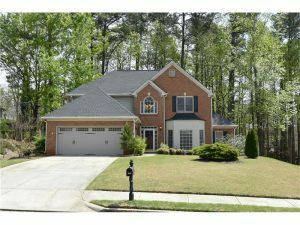 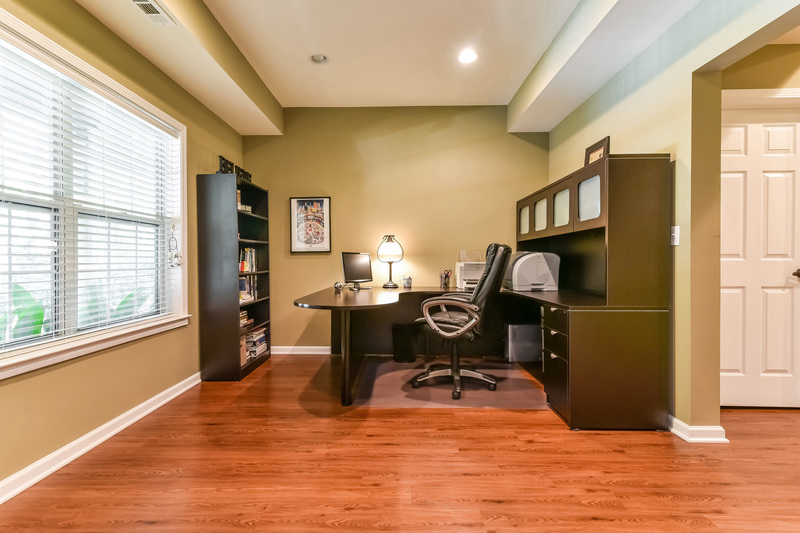 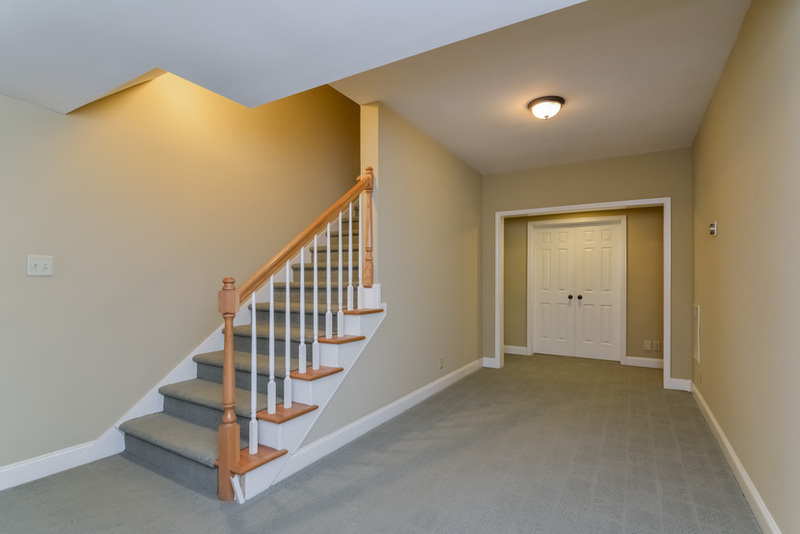 Large bedrooms, 2 story great room, new carpet upstairs and in master hardwoods in main living areas.